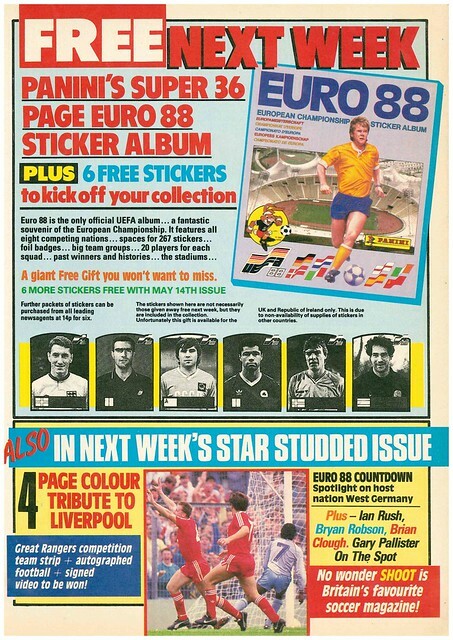 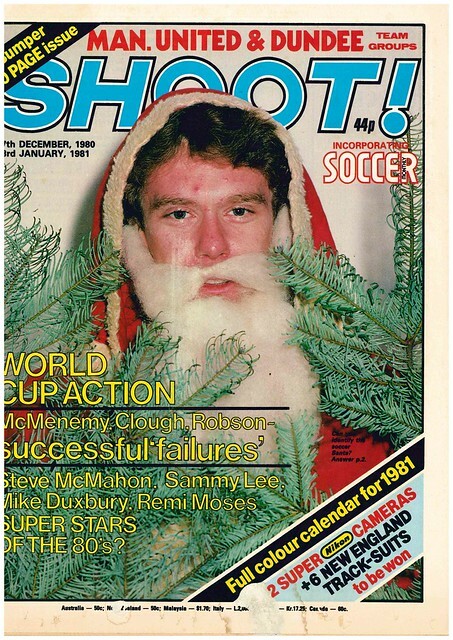 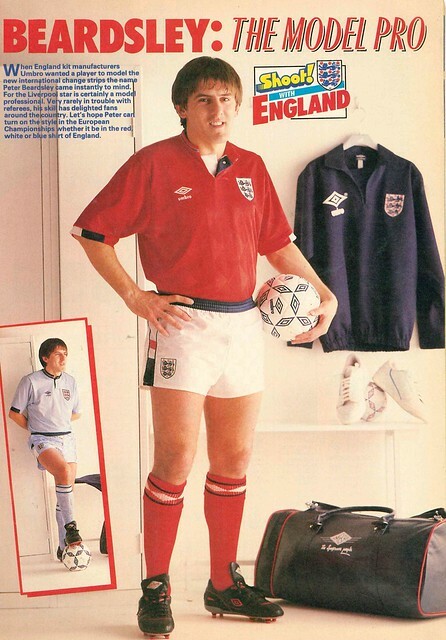 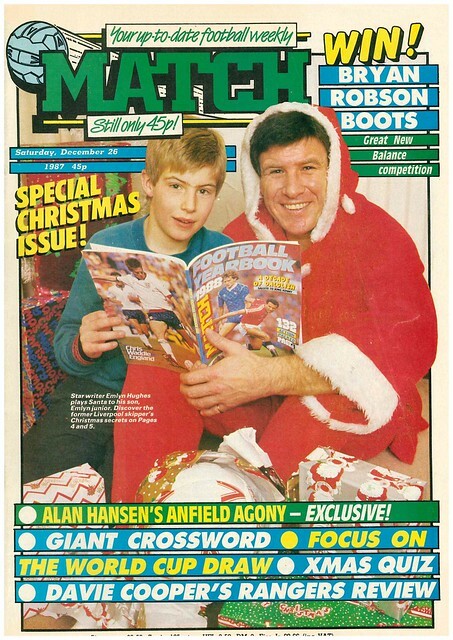 Paul Walsh of Liverpool is the cover star of Shoot as 1985 approaches Christmas. 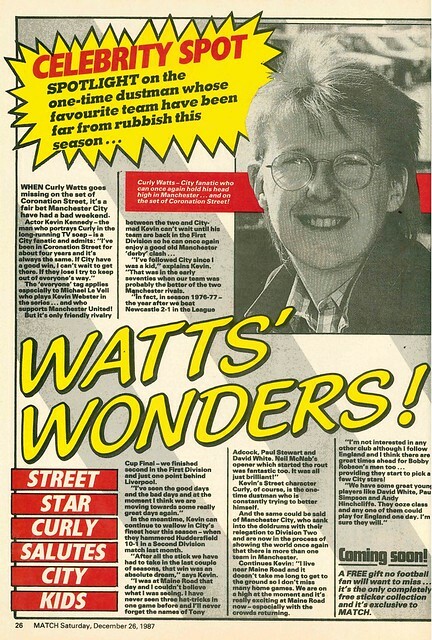 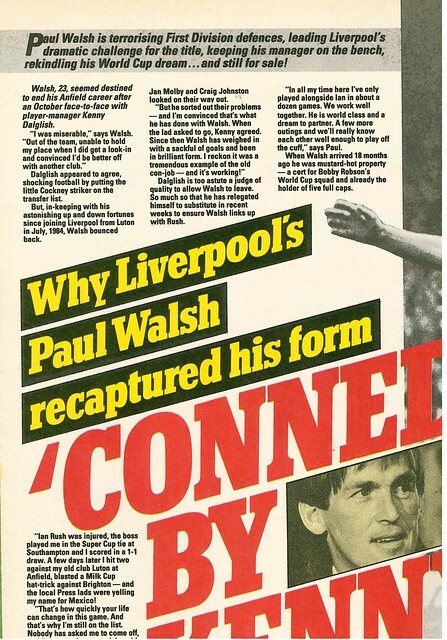 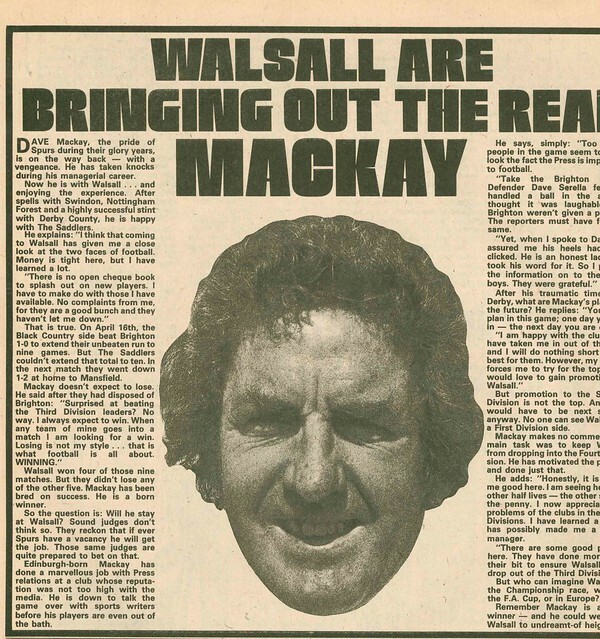 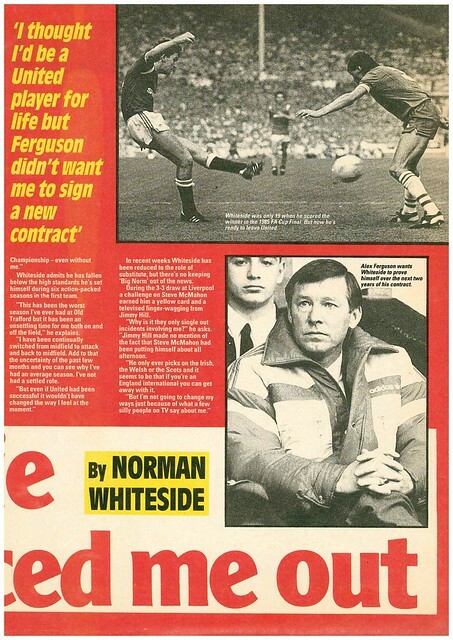 In a double page interview, Walsh reveals he was conned into staying at Anfield, and has now been rewarded with an extended run in the team, and is eyeing up a place in England’s World Cup squad. 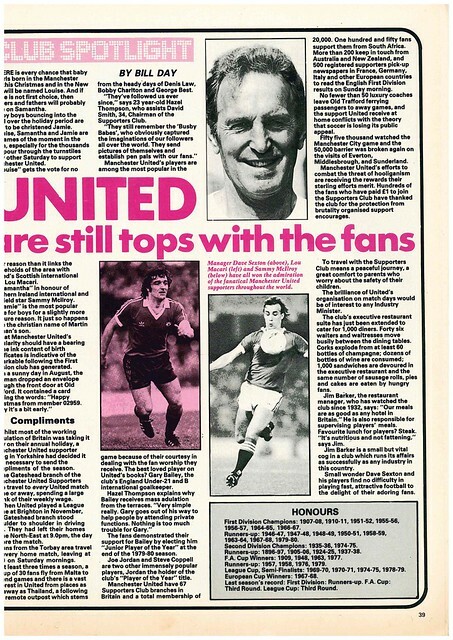 In news, Chris Turner wants to leave Manchester United due to a lack of first-team opportunities. 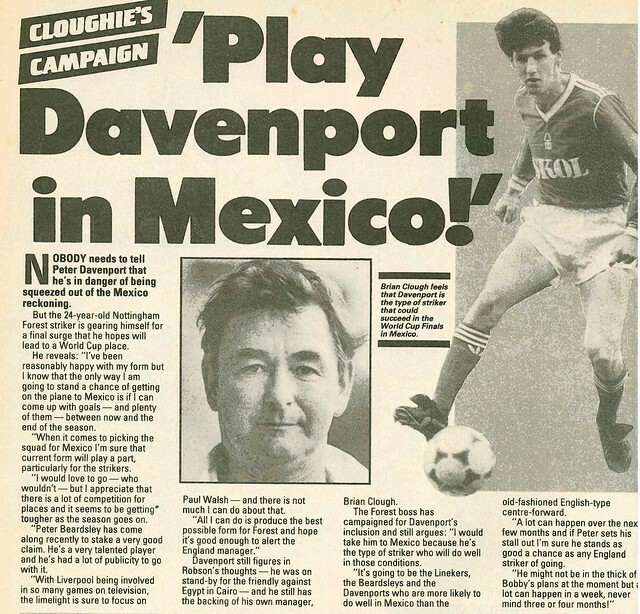 Across Manchester, City defender Mick McCarthy has been out injured, rumoured to have been suffered in a sprint with an Irish journalist who had £20 bet he could beat him in a race, in the build-up to a recent international. 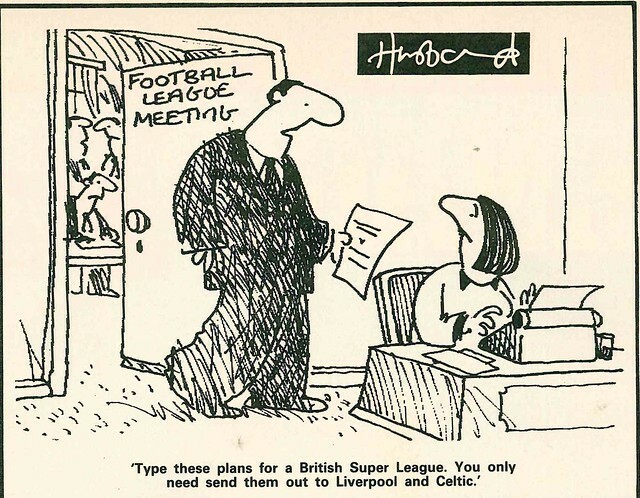 Staying in the Republic Of Ireland, their state broadcaster has signed a deal to broadcast English games at 3pm on a Saturday, much to the anger of clubs in Northern Ireland, where many people can pick up RTE. 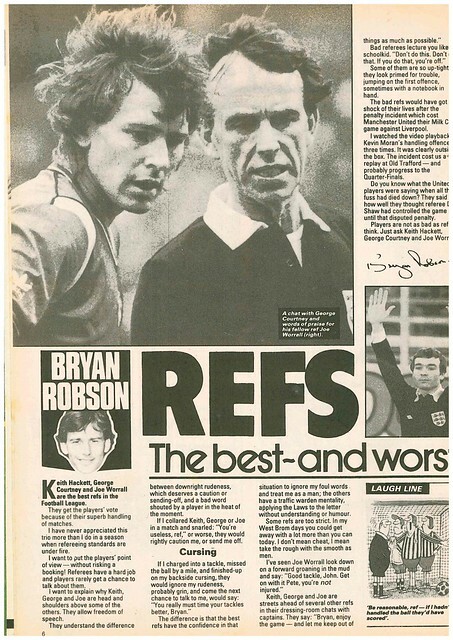 Bryan Robson uses his column to discuss the best and worst referees in England. 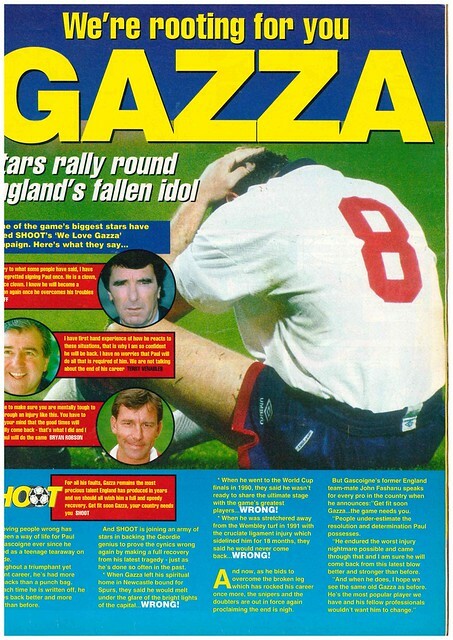 Steve Foster gets a double page interview, where he states that Bobby Robson is scared of him because of his reputation, which is why he isn’t getting called up for the England squad. 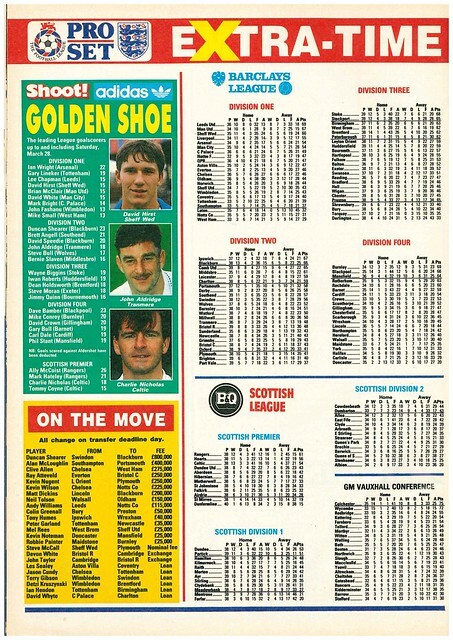 In Scotland, Davie Dodds had a novel way to beat his goal drought, by dropping back into midfield. 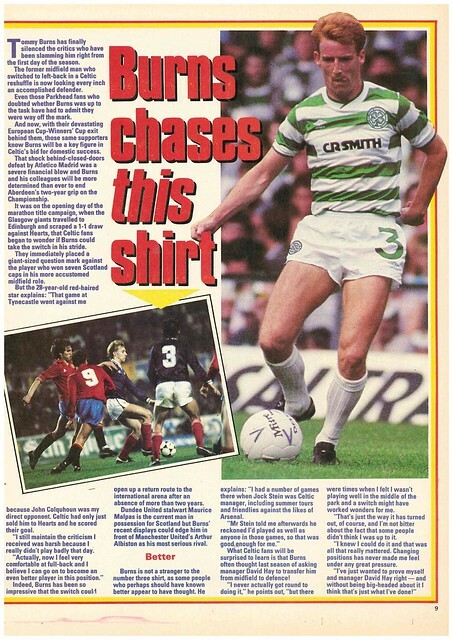 It worked, as he hit the back of the net in a recent 3-0 win over Celtic. 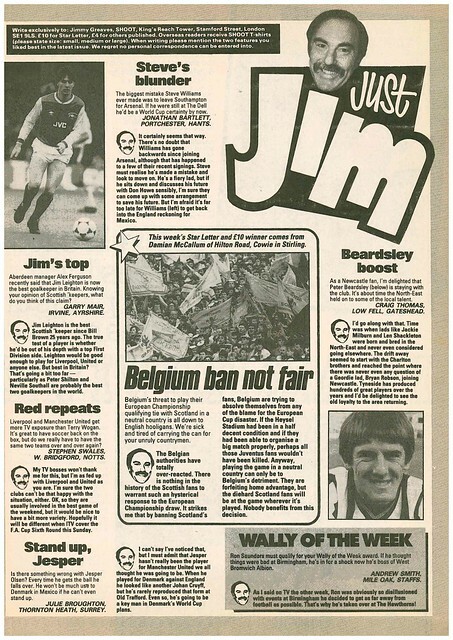 Jimmy Greaves gave his Star Letter Award to Mr N Bate of Cambridge, who complains about England not being seeded for the forthcoming World Cup Finals. 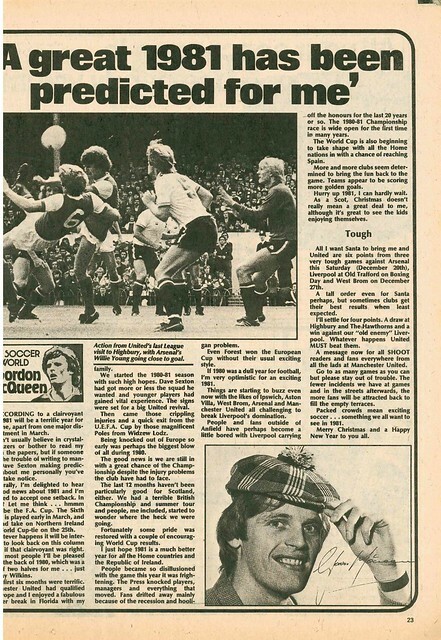 Greaves also uses his letters page to say that he was sick and tired of talk of a proposed breakaway Super League in English football. 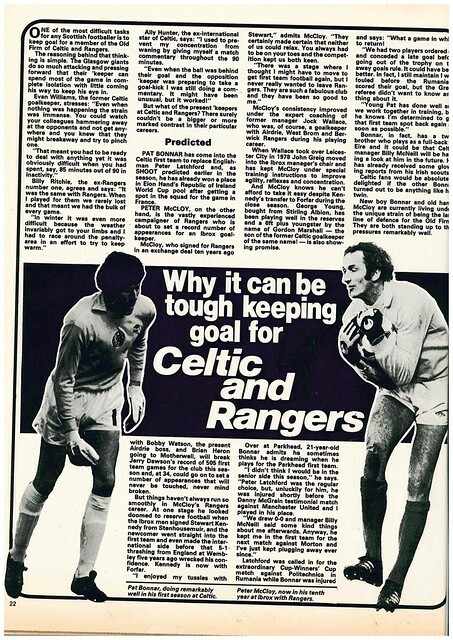 It would turn out to be prophetic. 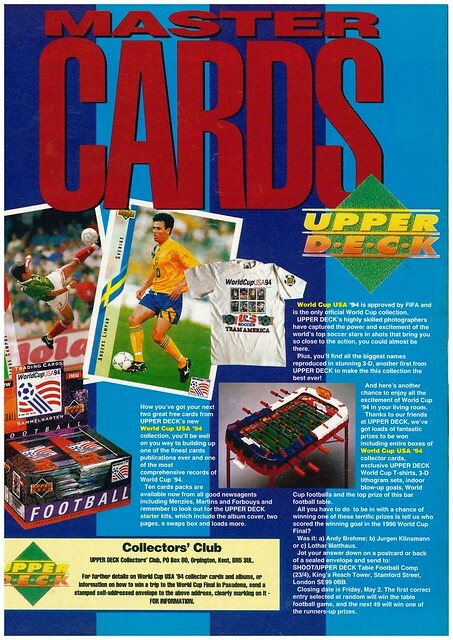 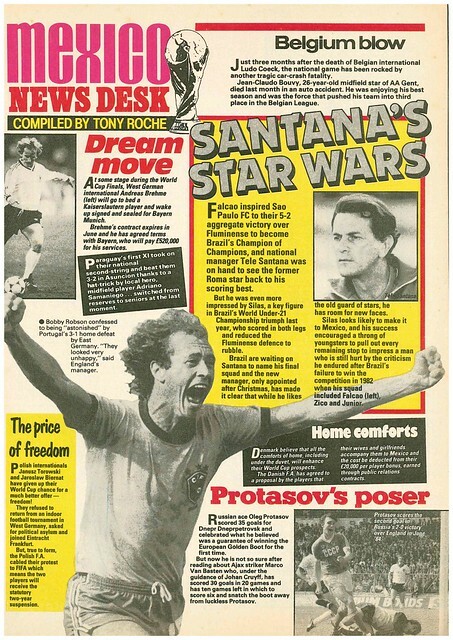 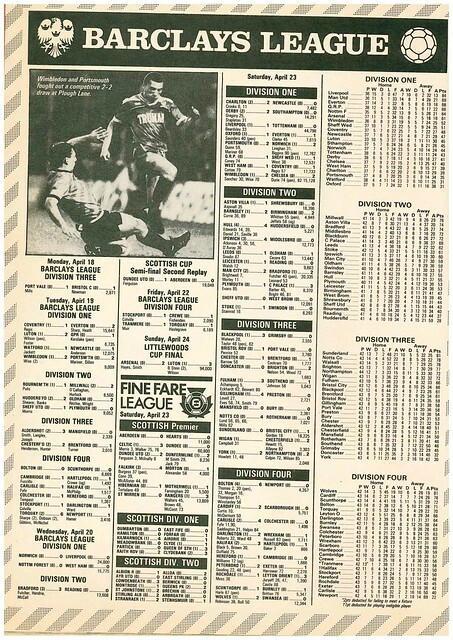 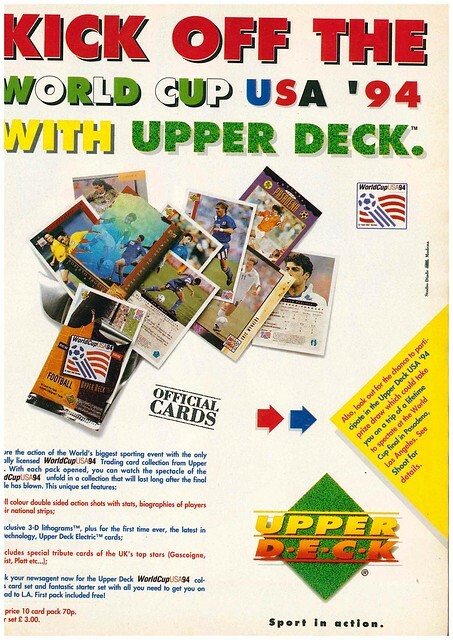 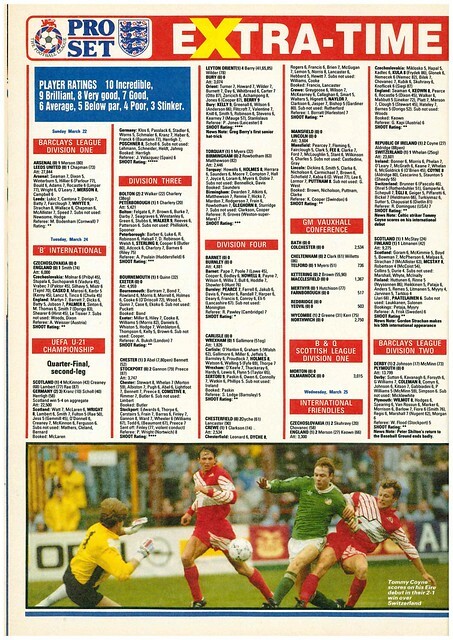 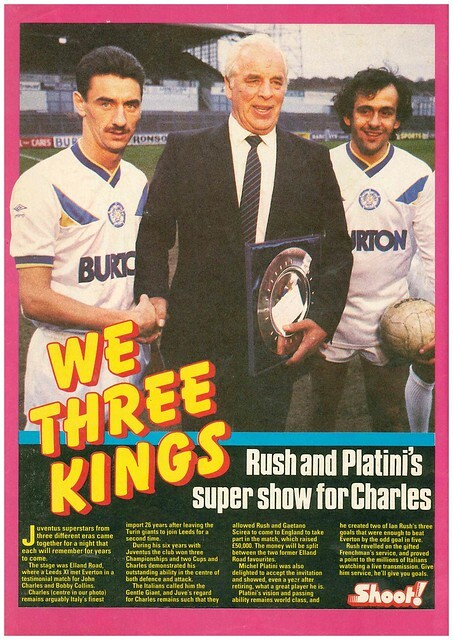 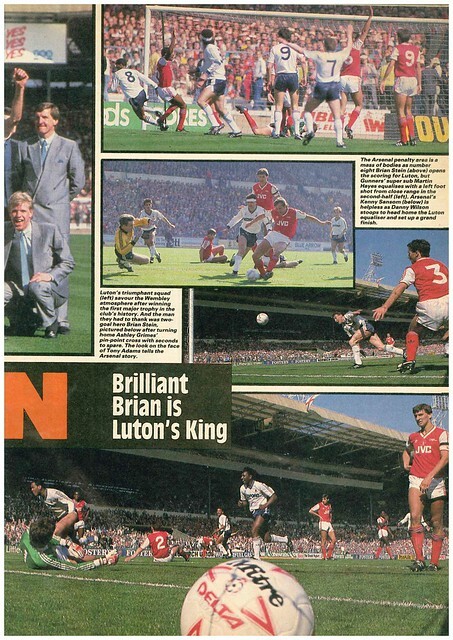 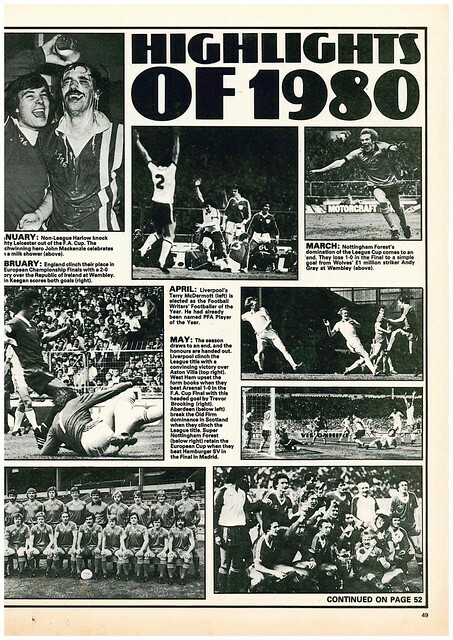 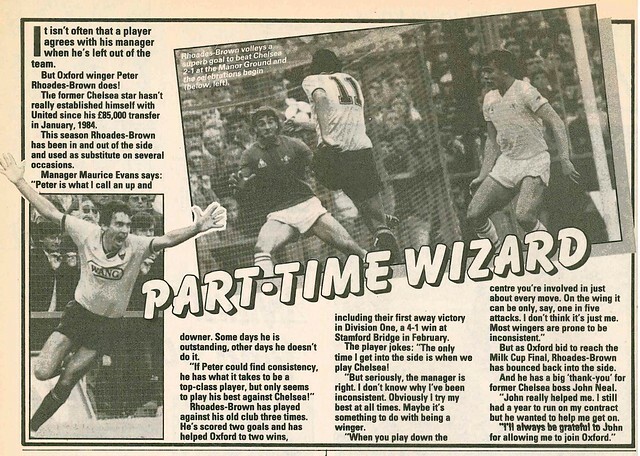 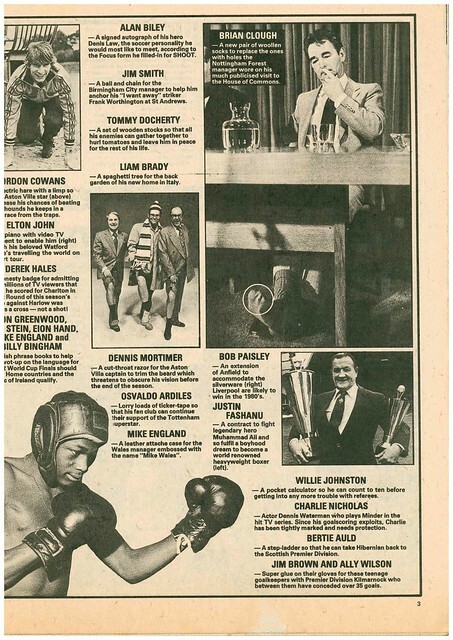 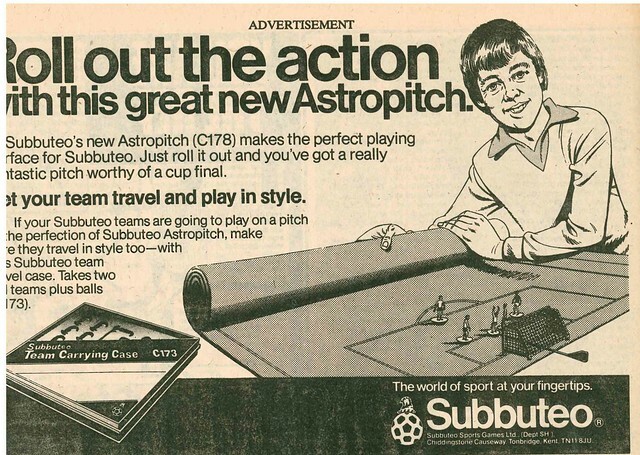 When the Premier League was formed in 1992, ITV lost the rights, and Saint and Greavsie were no more. 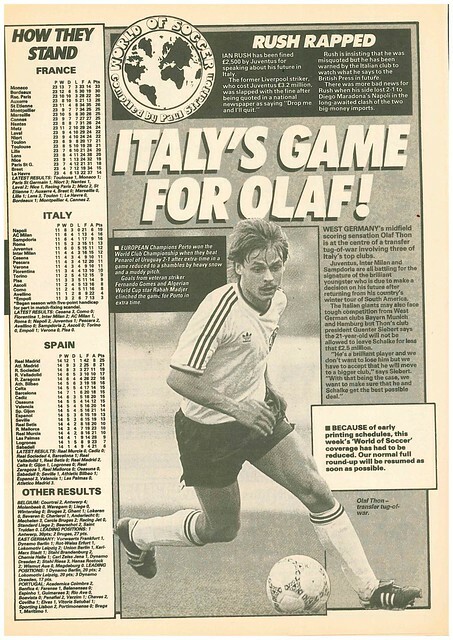 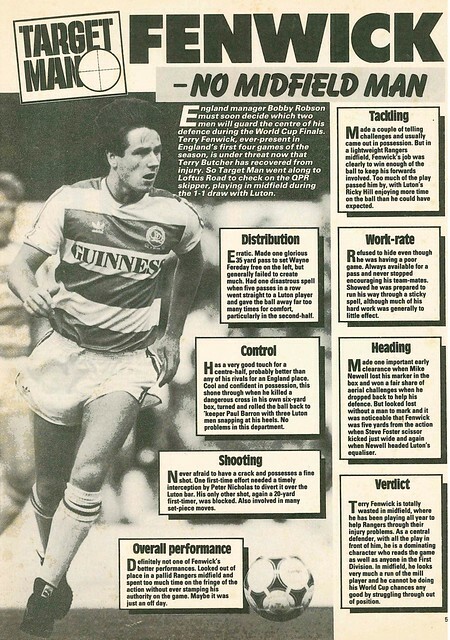 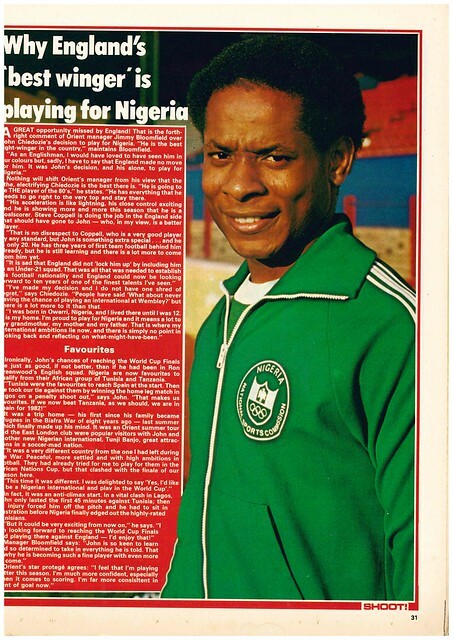 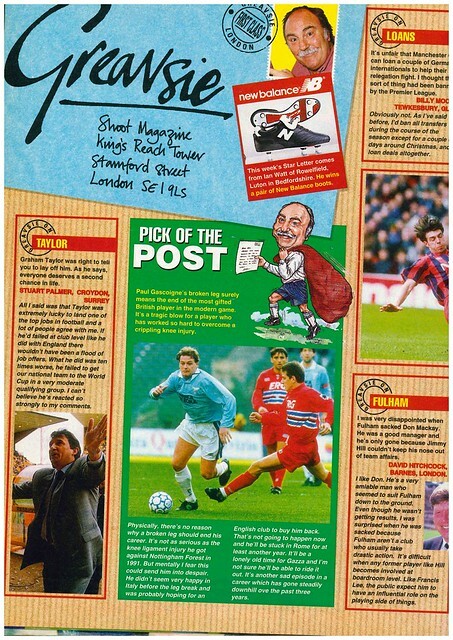 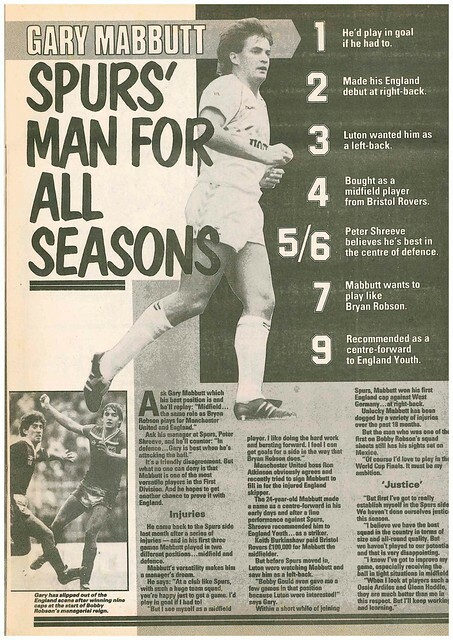 Gary Mabbutt gets a full page profile for his versatility, with opinions varying as to where he fits best on the football pitch. 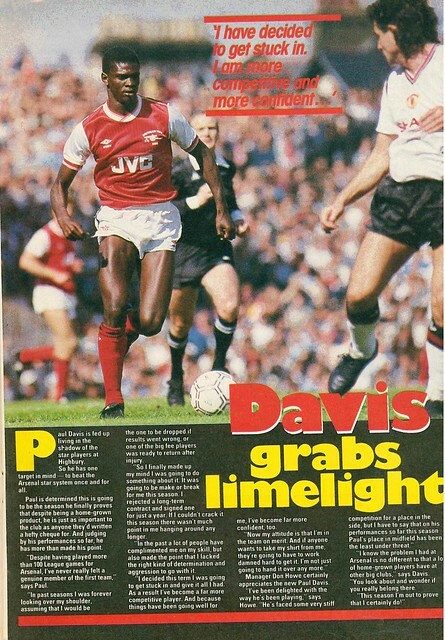 Across North London, Paul Davis says he doesn’t feel like a first team player at Arsenal, despite playing over 100 games, and has become more competitive in a bit to avoid being dropped. 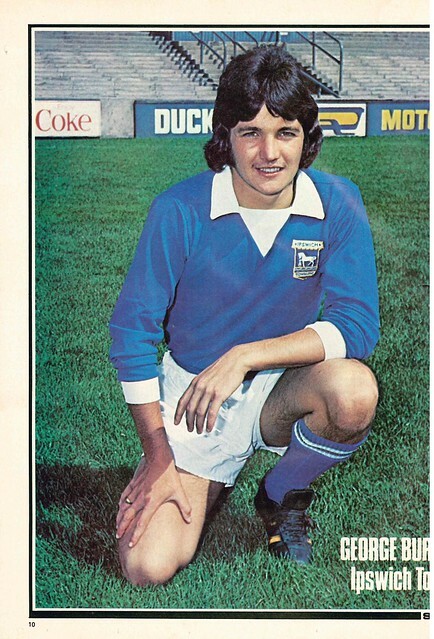 Ipswich Town are the club who get a profile this week, currently struggling in the top flight. 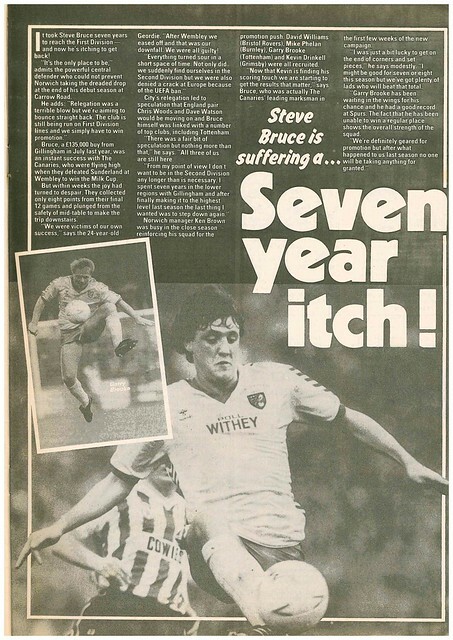 Staying in East Anglia, Steve Bruce of Norwich City is desperate for the club to return to the top flight having been relegated the previous season, having spent seven years trying to reach it, before joining Norwich from Gillingham, only to be relegated after a season. 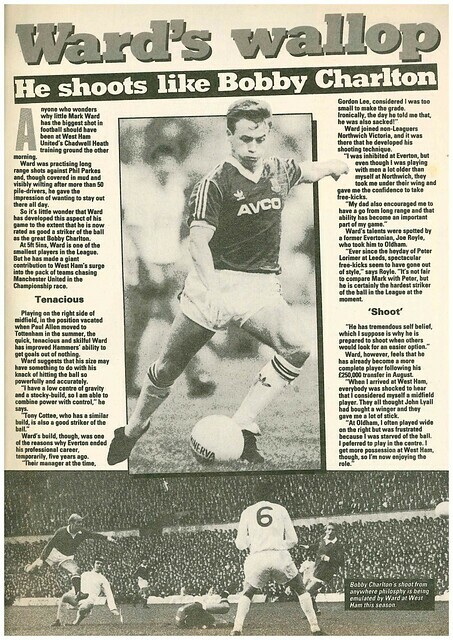 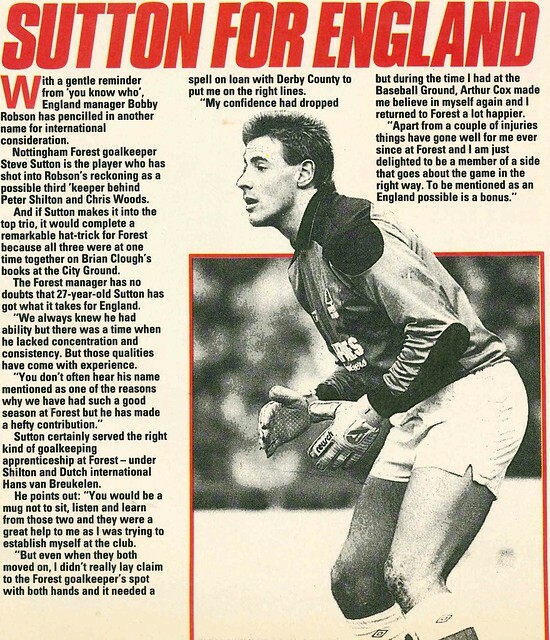 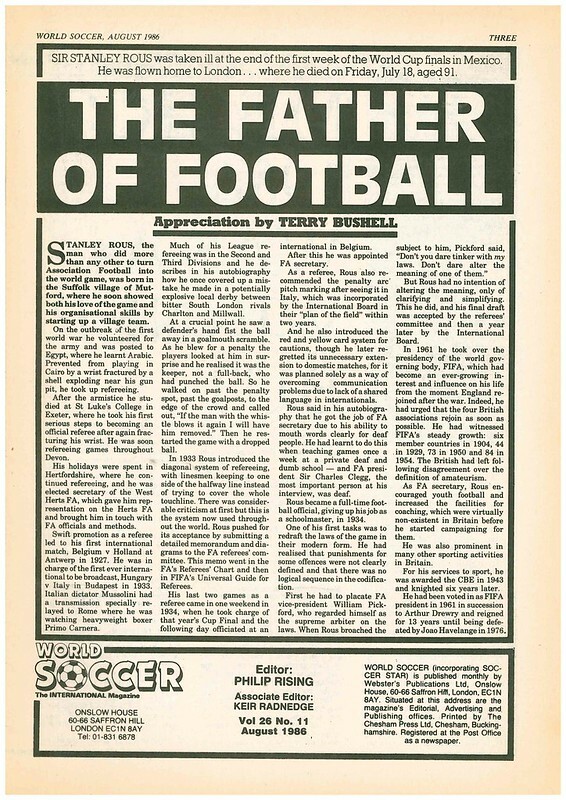 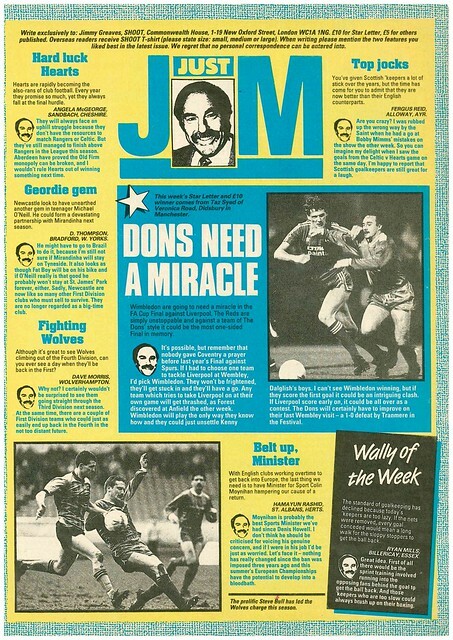 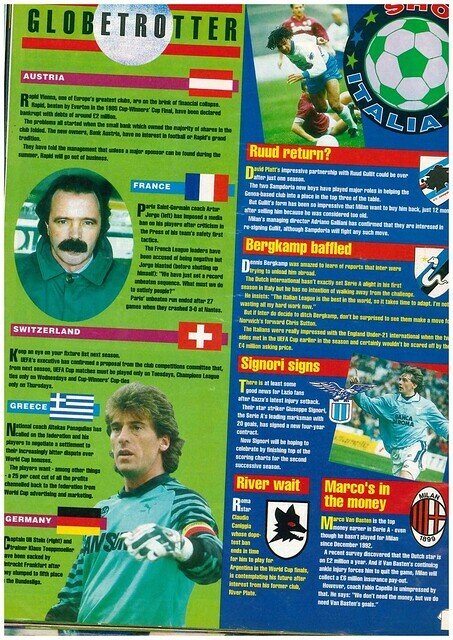 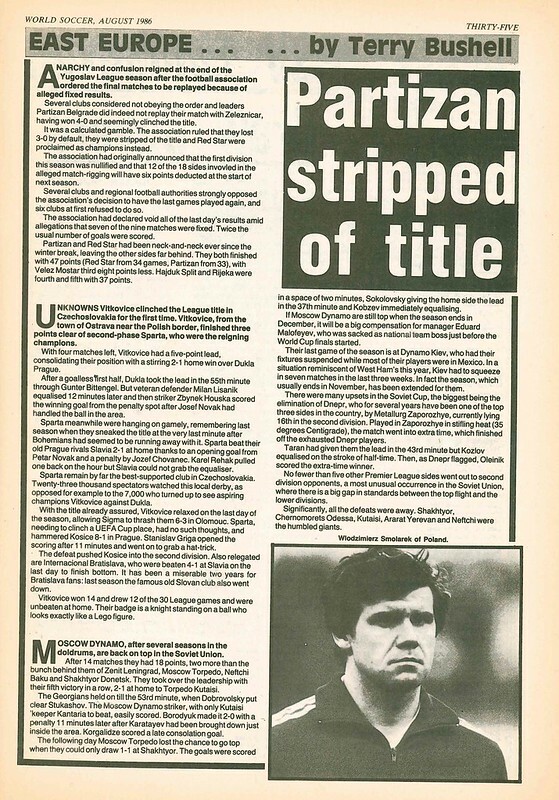 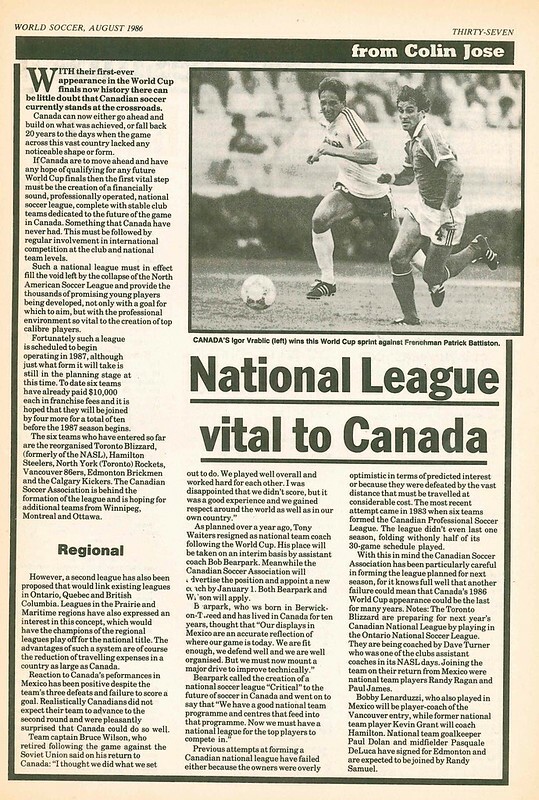 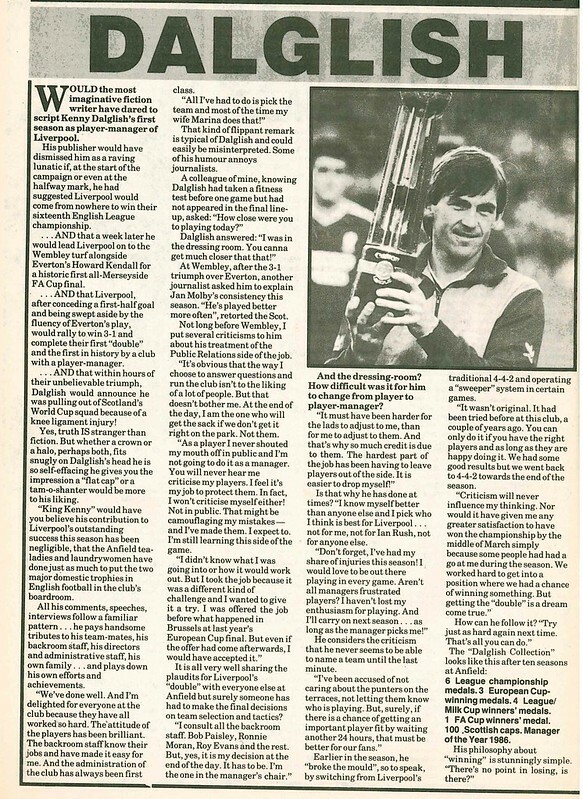 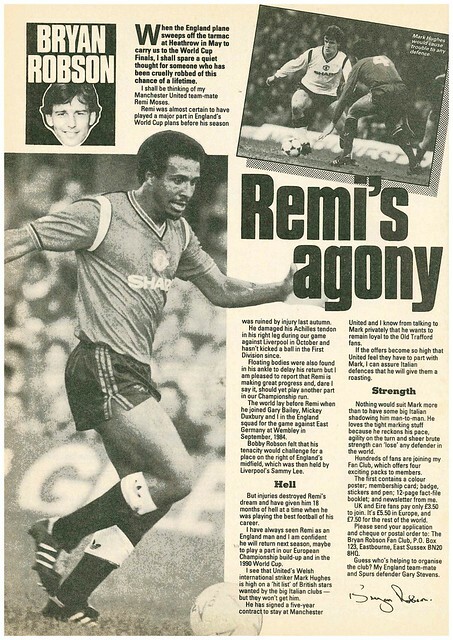 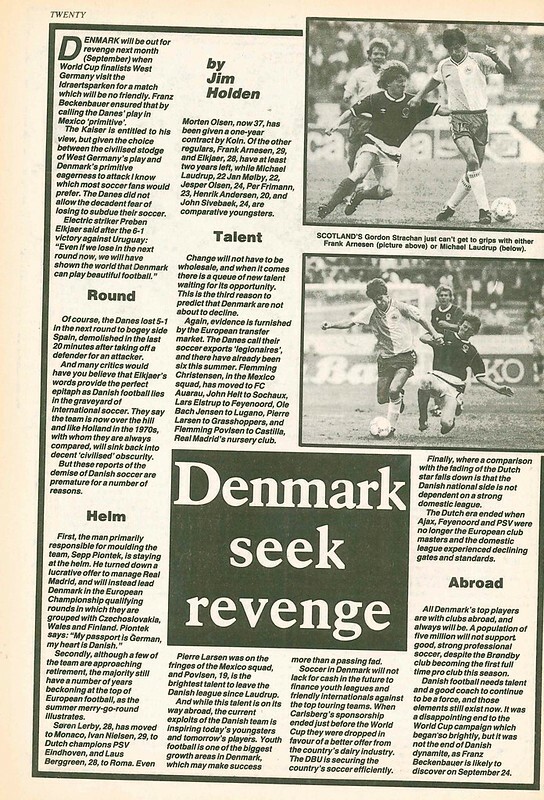 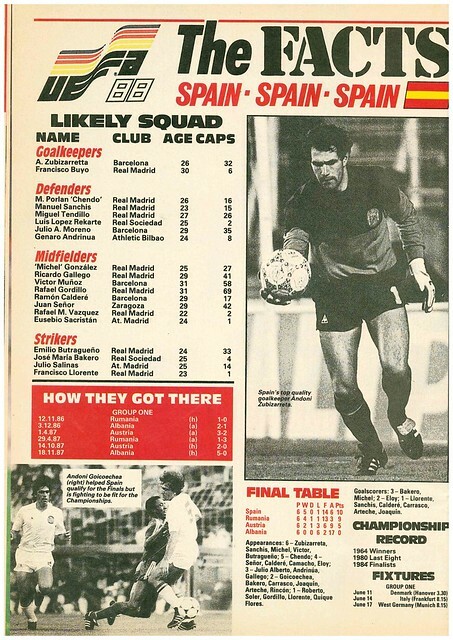 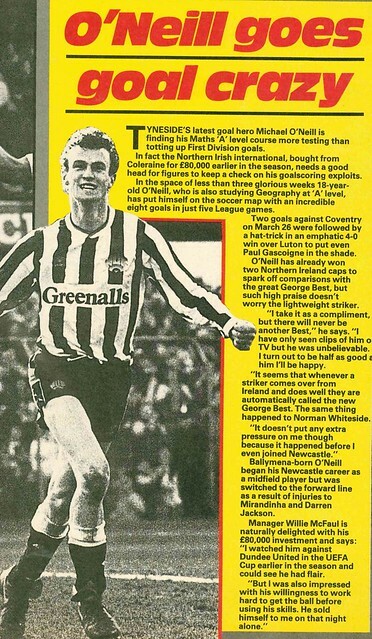 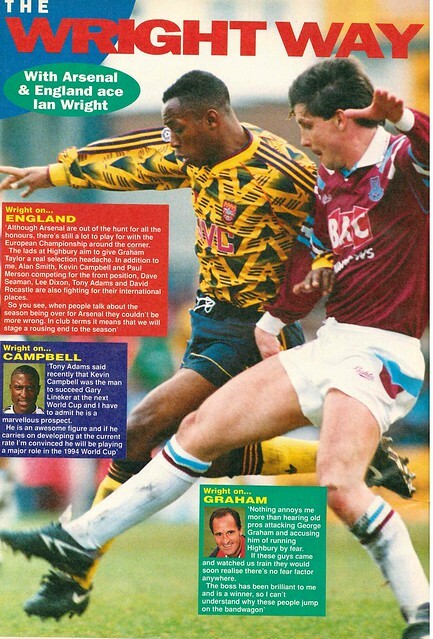 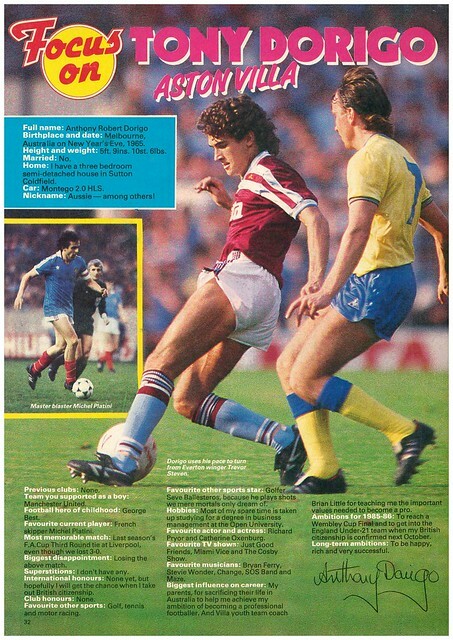 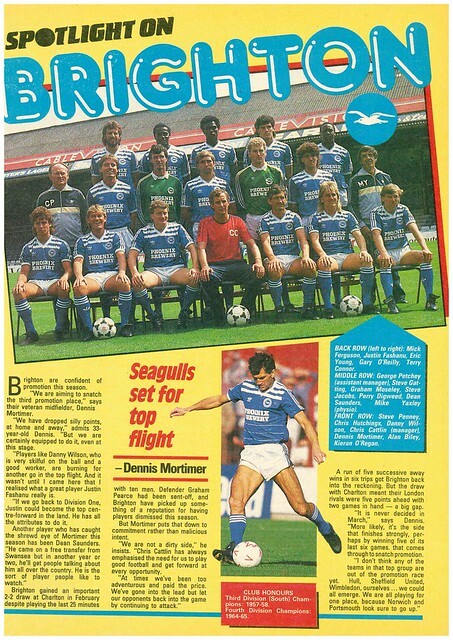 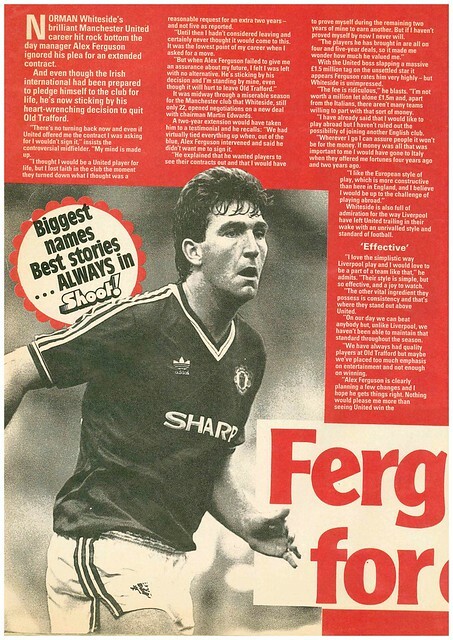 The magazine ends with a profile of Tony Dorigo, who reveals that his favourite singers are Bryan Ferry and Stevie Wonder, while his ambition for 1986 is to get an England Under 21 call-up when he gets British citizenship in October. 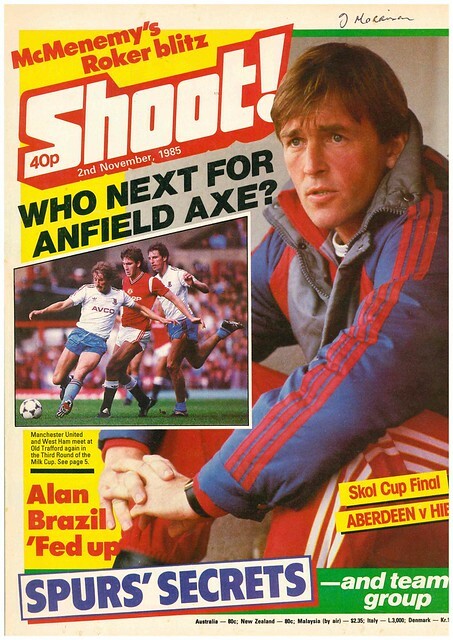 Kenny Dalglish, in his first few months as Liverpool manager, is this week’s cover star of Shoot, as he is in the middle of wielding the axe at Anfield. 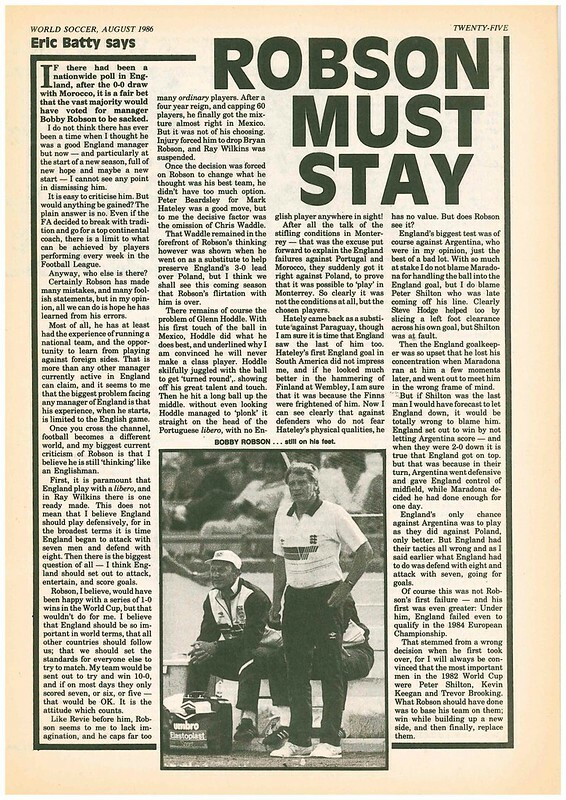 Shoot gives a double page spread to this, as Alan Kennedy has left, Phil Neal is leaving, and Paul Walsh has been placed on the Transfer List. 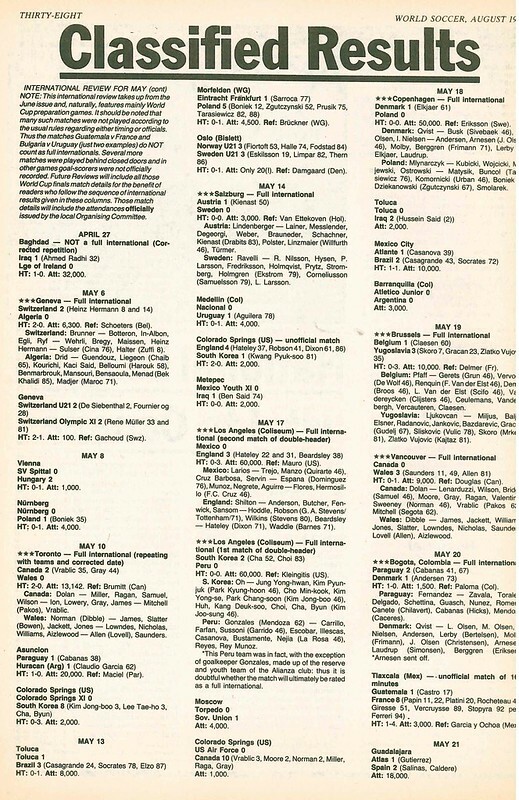 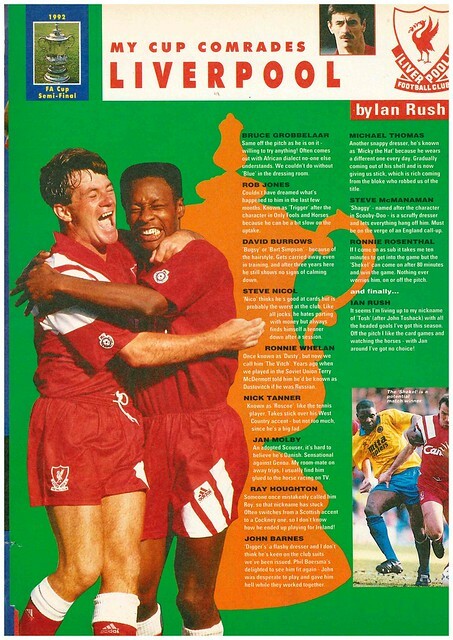 The 3rd Round of the League Cup is previewed, and has some attractive ties, with West Ham (Old Trafford) and Arsenal (Maine Road) travelling to Manchester, Liverpool facing bogey side Brighton, and an East Midlands Derby between Derby County and Nottingham Forest, with a public spat brewing in the build-up between Derby Director Stuart Webb and Nottingham Forest Manager Brian Clough, after Webb claimed that Derby (then in the 3rd Division) were a better choice than Forest for any proposed breakaway Super League. 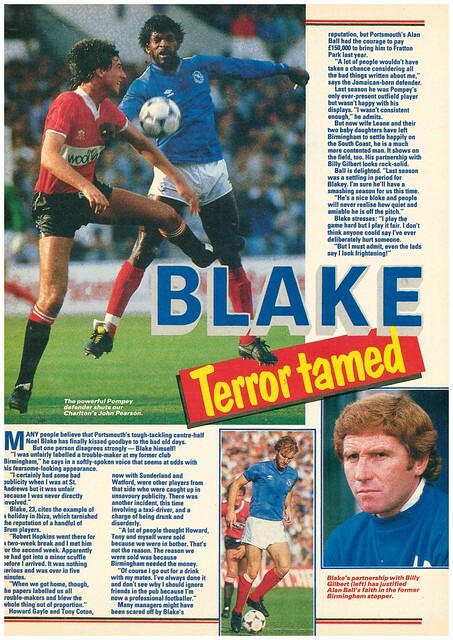 In news, Manchester United are lining up a bid to sign Maurice Malpas, while Kevin Sheedy has set himself a target of 20 goals this season for Everton. 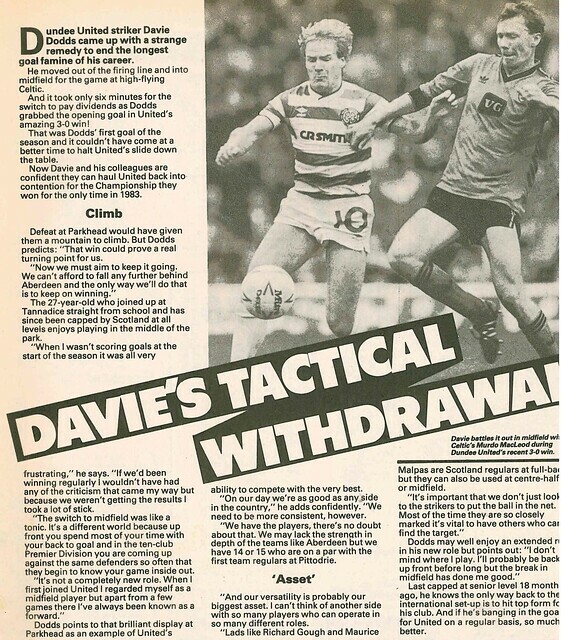 One man hoping to take Malpas place in the Scotland team was Tommy Burns, having been converted from Midfield to Defence, is eyeing up a return to the Scotland squad after an absence of two years. 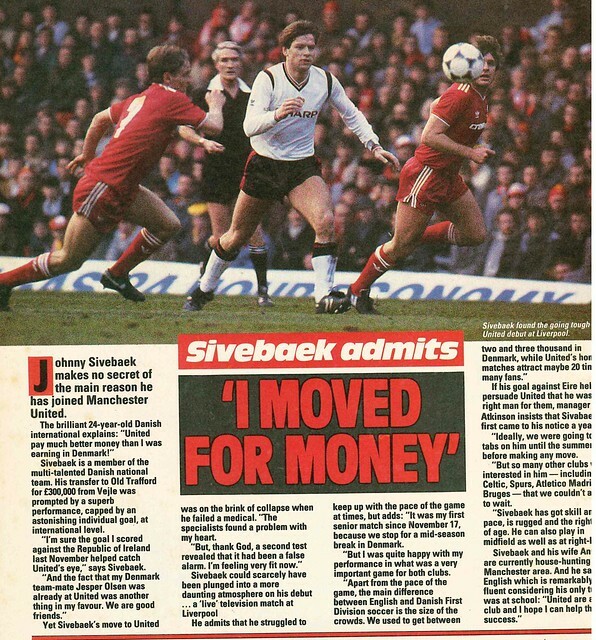 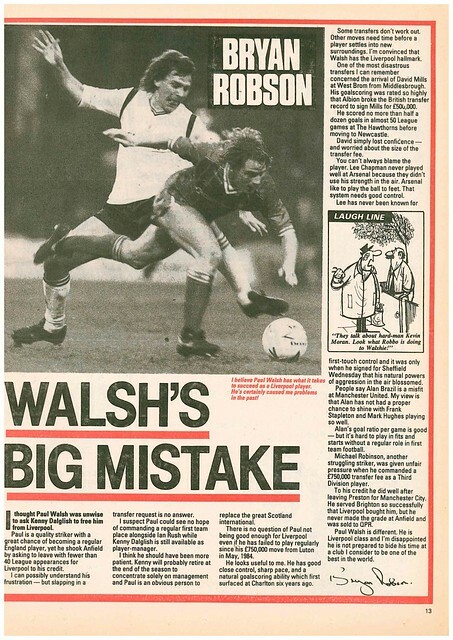 Paul Walsh’s potential departure from Liverpool is discussed by Bryan Robson in his column, who feels he is making a mistake by wanting to leave Anfield. 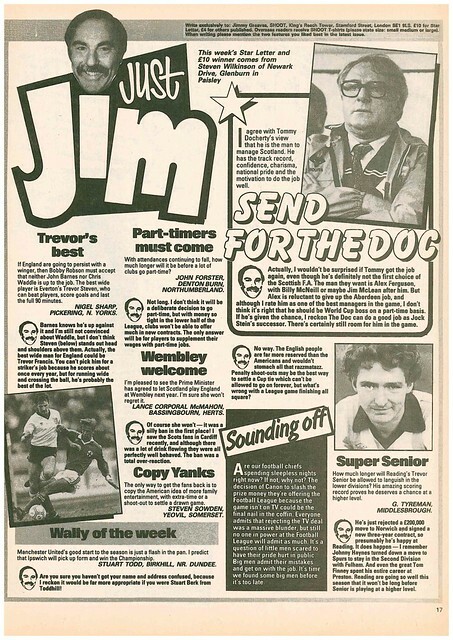 Jimmy Greaves awards his Star Letter award to Steven Wilkinson from Paisley, who proposes that Tommy Docherty should be the new Scotland manager, with there being a vacancy for the position due to the death of Jock Stein. 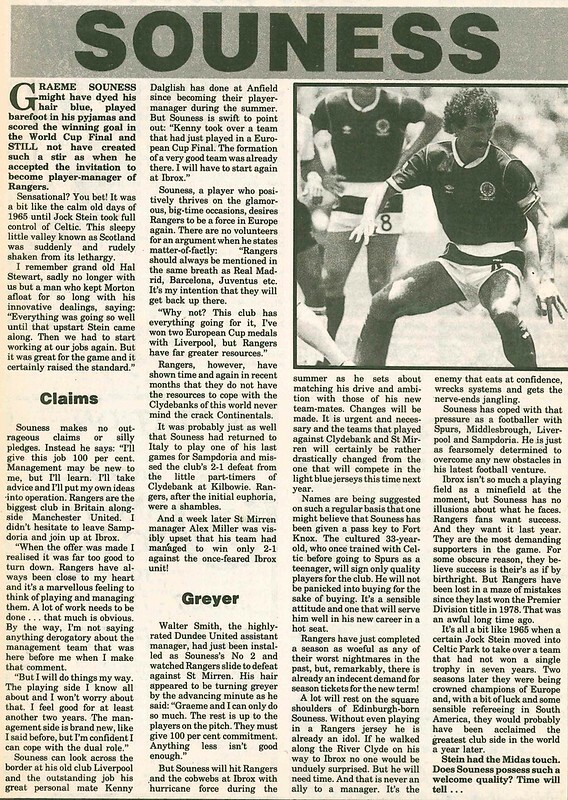 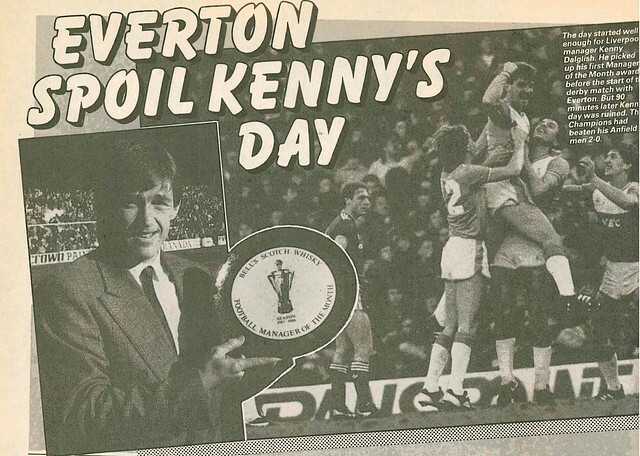 Peter Reid’s column reveals that Graeme Sharp has been singing “Down Mexico Way” in order to wind up the Welsh players at Everton, after Scotland eliminated Wales from the World Cup. 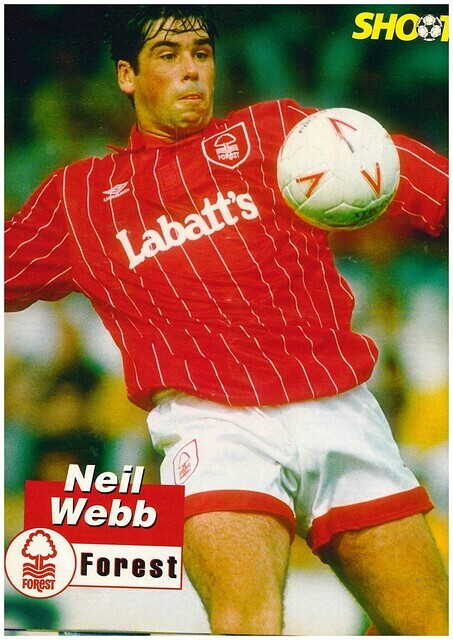 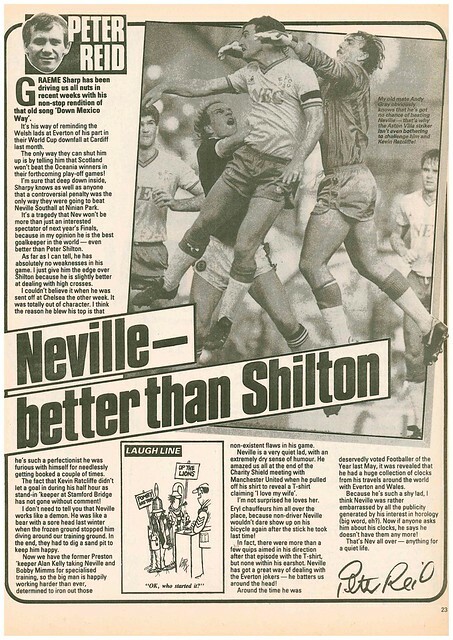 One of those Welsh players, Neville Southall, was described by Reid as the best goalkeeper in the world. 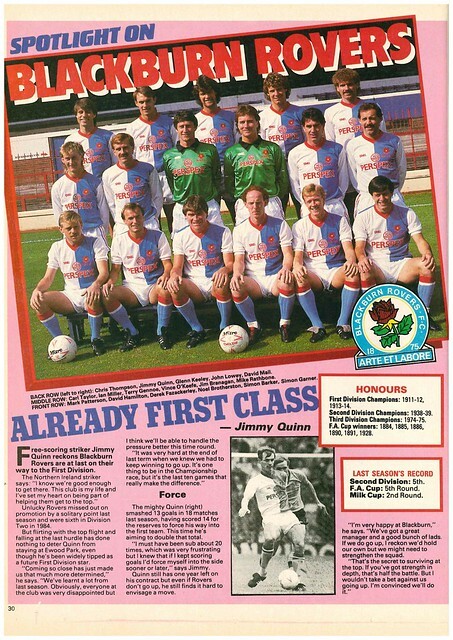 Blackburn Rovers get a full page profile, with striker Jimmy Quinn desperate for the club to reach the top flight after so many near misses. 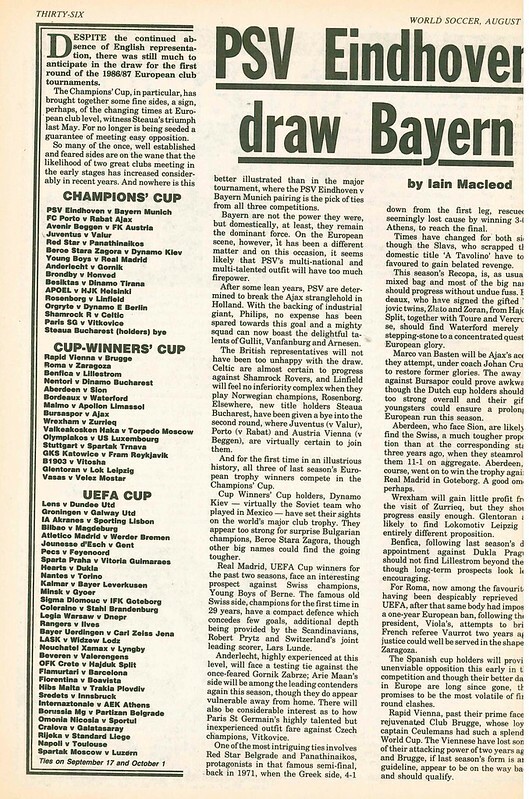 In Scotland, Aberdeen and Hibs were going head to head in the League Cup Final, with Alex Ferguson being desperate to win this, as it was the only domestic trophy he hadn’t won at Pittodrie so far. 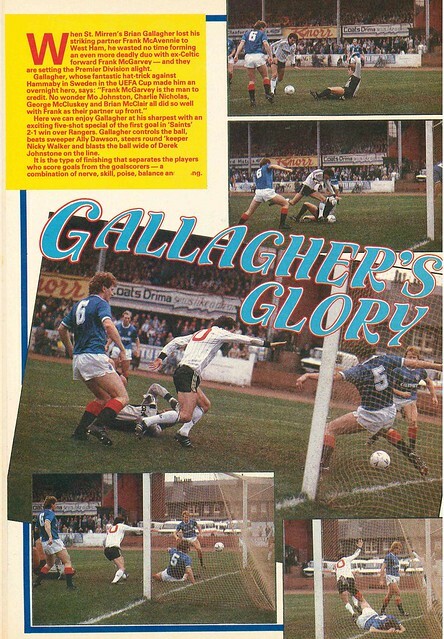 Aberdeen won the match 3-0. 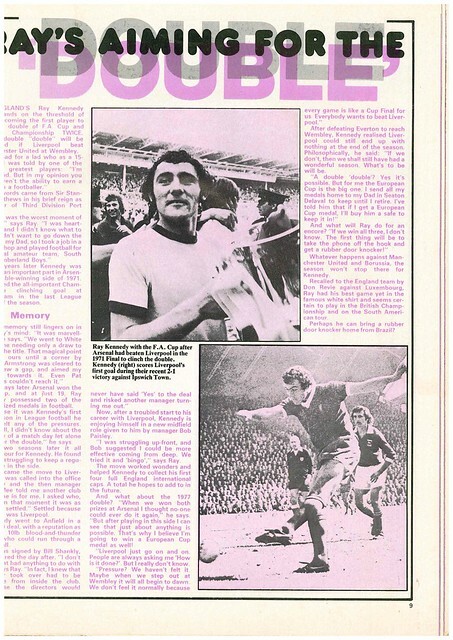 Shoot does a double page spread looking at the impact of recently appointed Sunderland Manager Lawrie McMenamy, while Alan Brazil pleads for the opportunity to lead Manchester United’s attack. 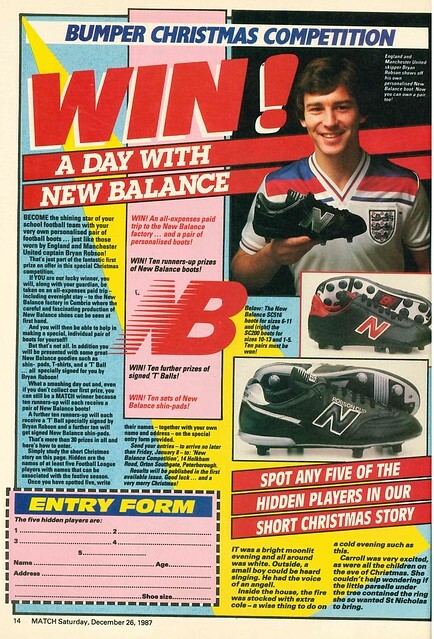 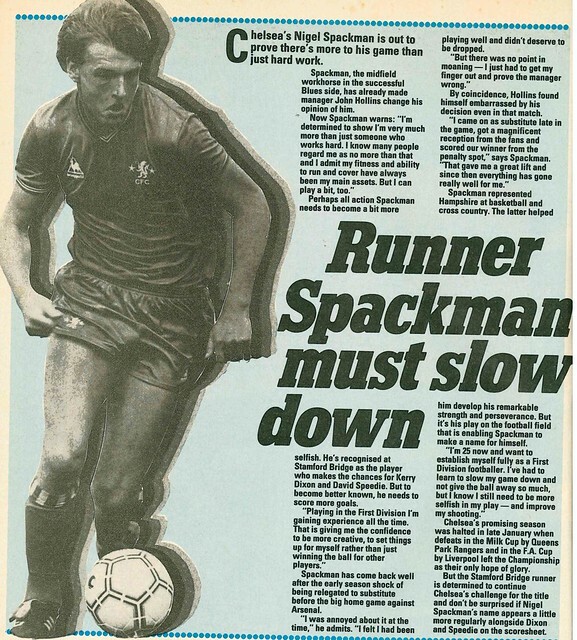 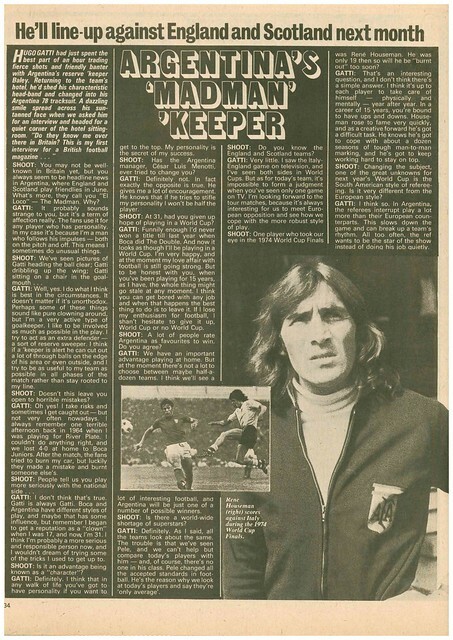 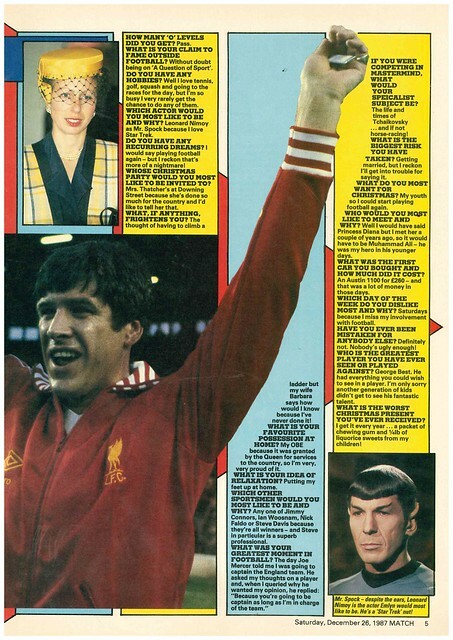 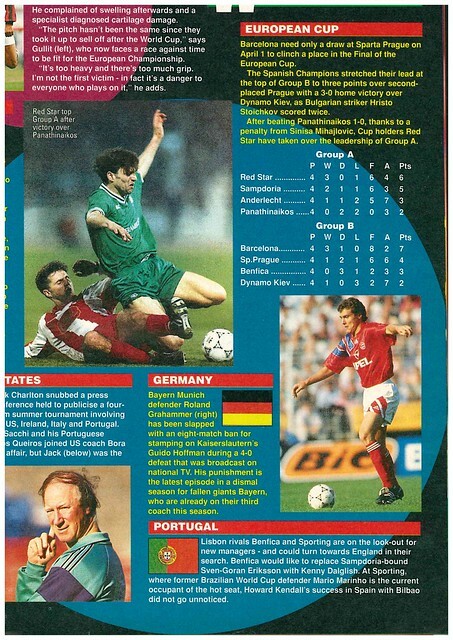 The magazine ends with a profile of Trevor Peake. 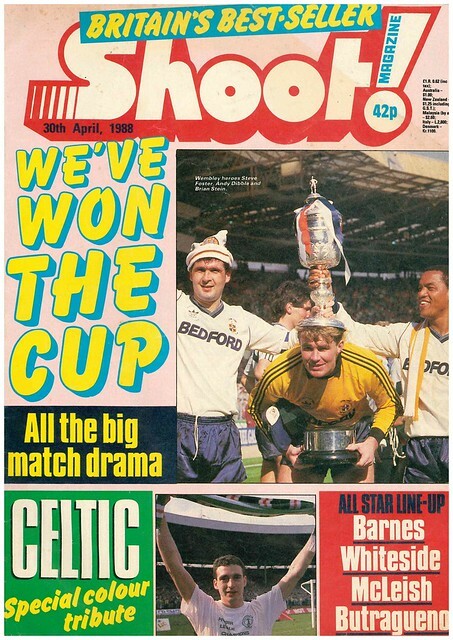 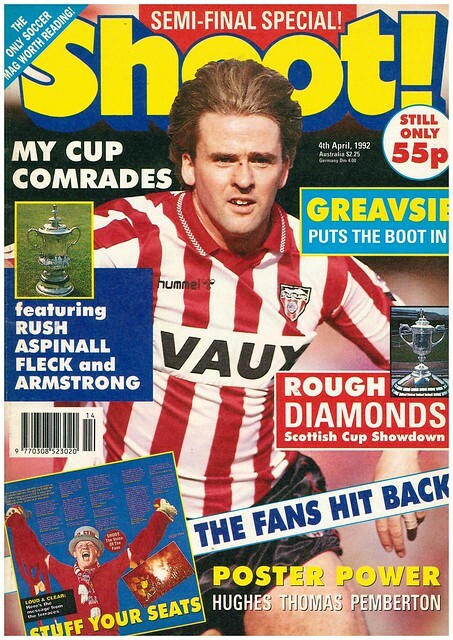 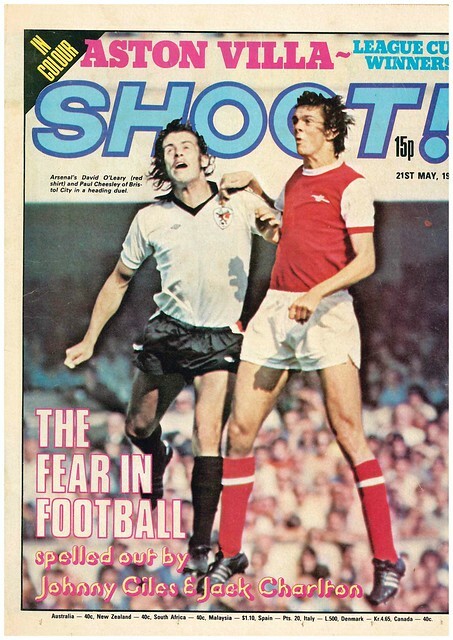 It’s Cup Semi-Finals in England and Scotland, and this is reflected with John Byrne of Sunderland being the cover star. 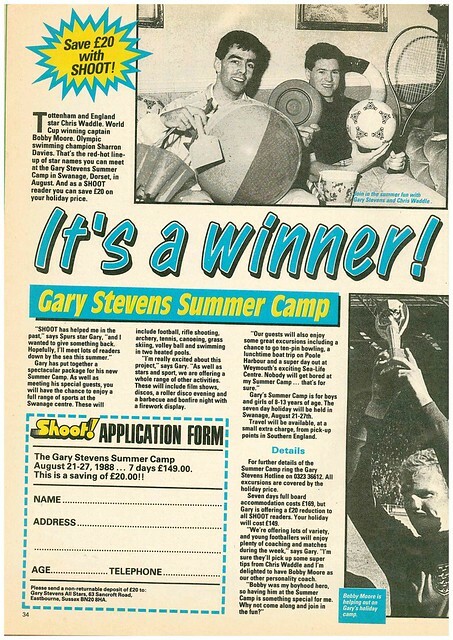 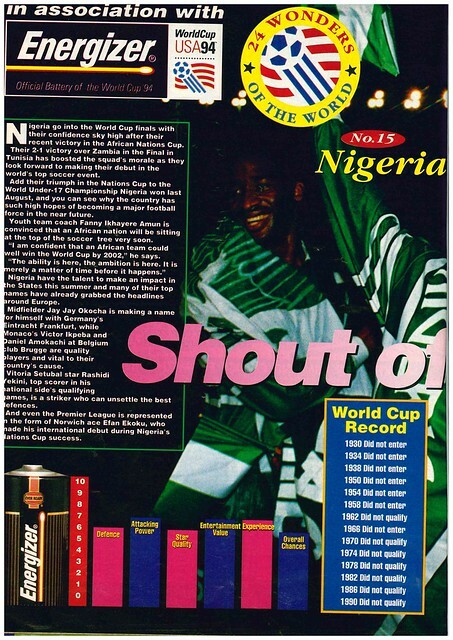 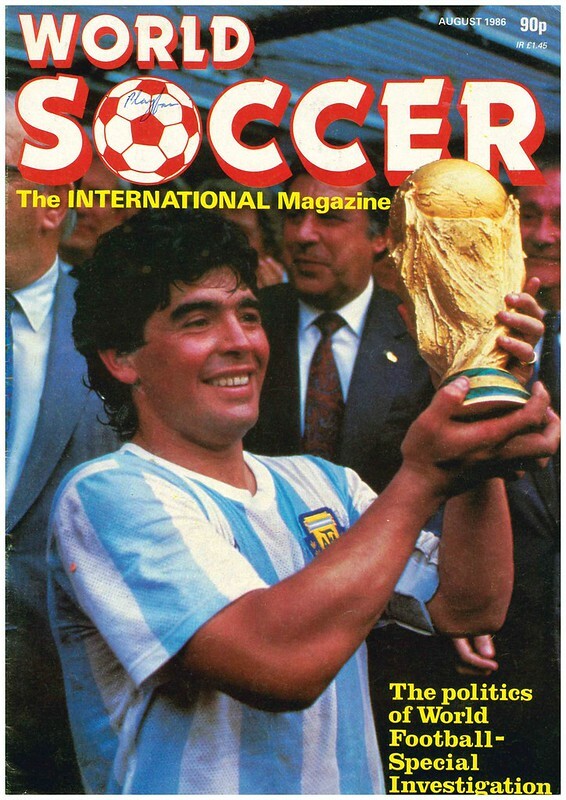 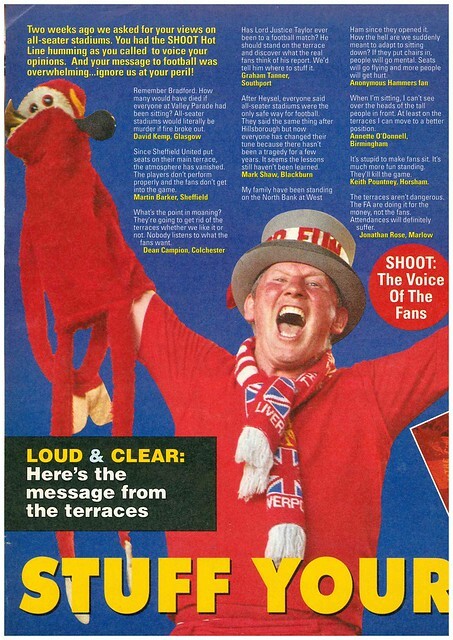 As you open the magazine, there is an article titled “Stuff Your Seats”, as Shoot canvassed fans for their opinion on all seater stadiums, the majority of responses were against this. 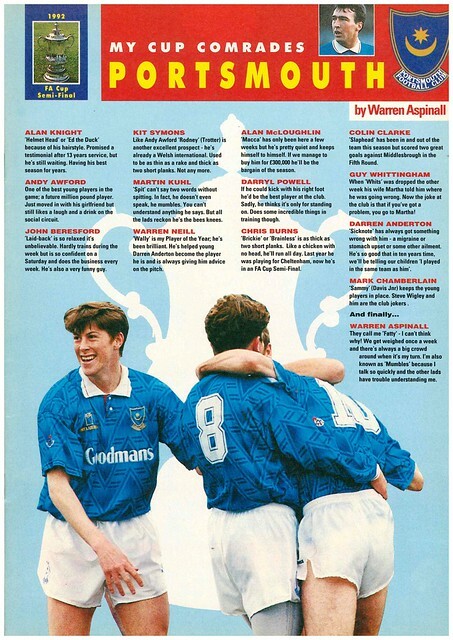 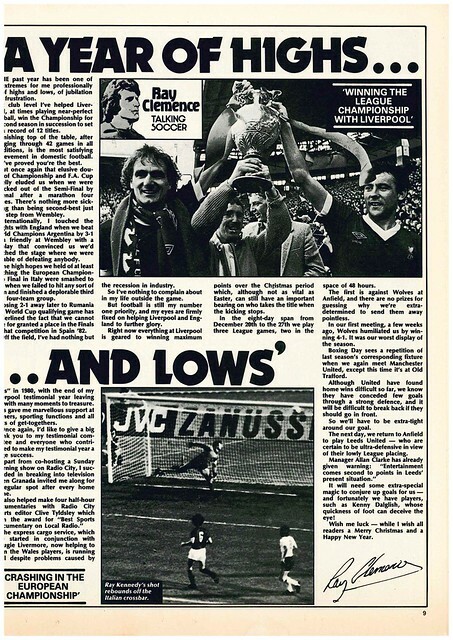 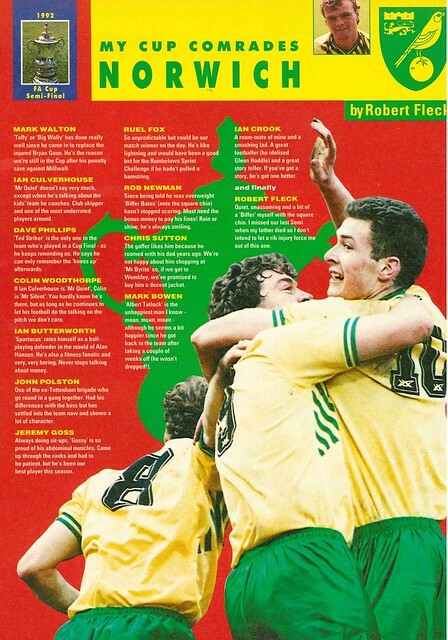 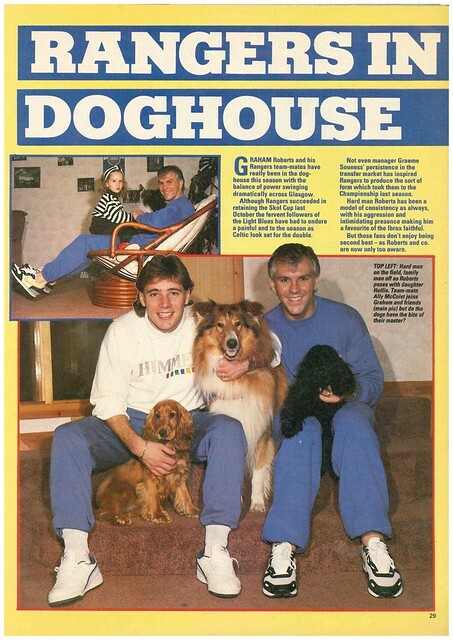 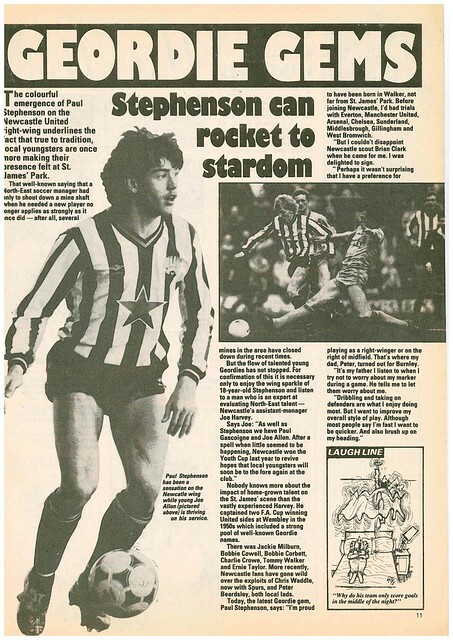 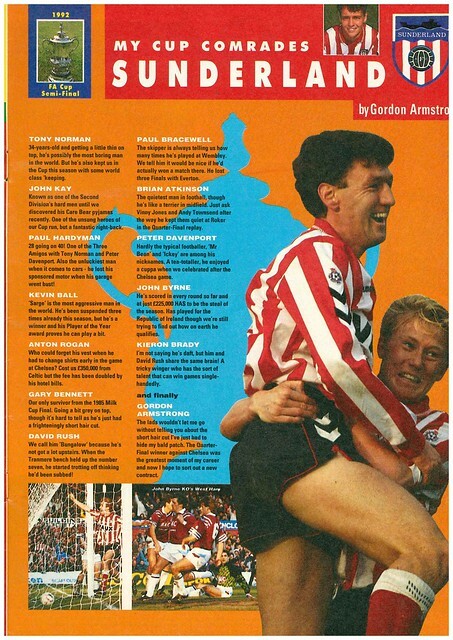 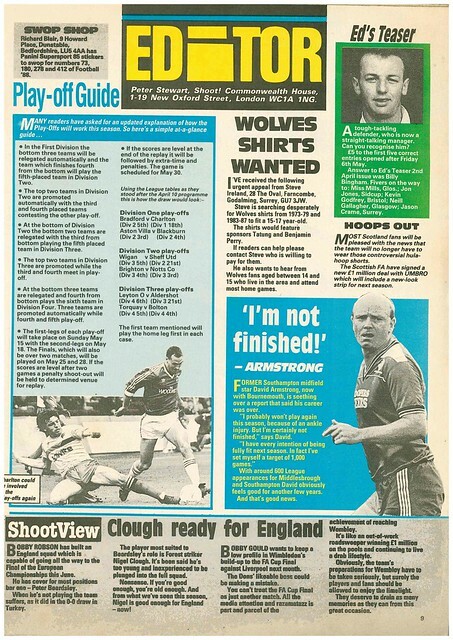 Liverpool and Portsmouth’s Semi-Final gets previewed with Ian Rush and Warren Aspinall profiling their team-mates, while Gordon Armstrong and Robert Fleck do so for the Sunderland v Norwich tie. 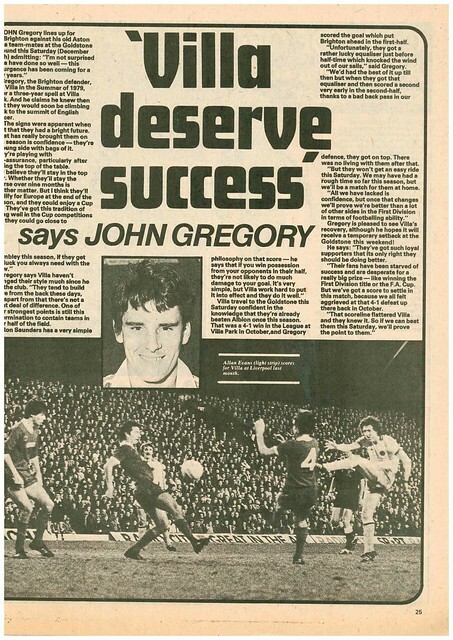 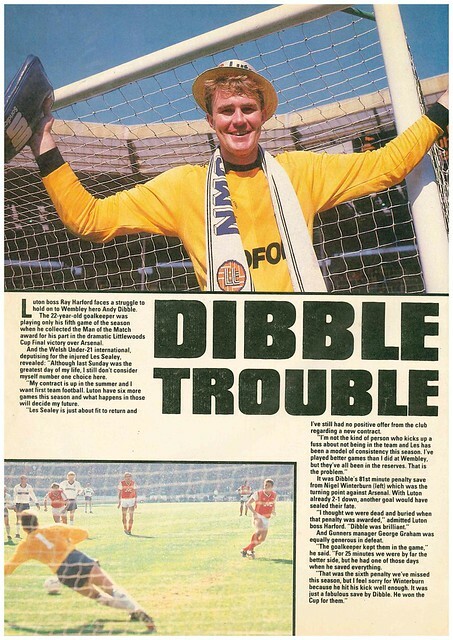 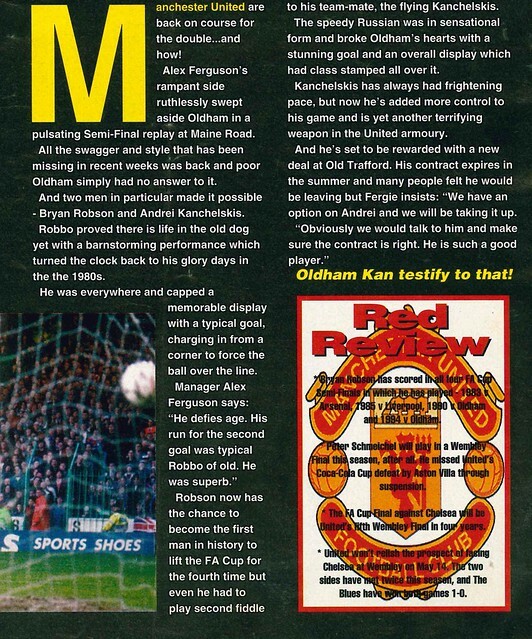 Jim Leighton gets interviewed about what he describes as “My United Hell” after being dropped at Old Trafford, and how he had initial doubts about signing for Dundee, and now has ambitions of winning promotion to the Scottish Premier League. 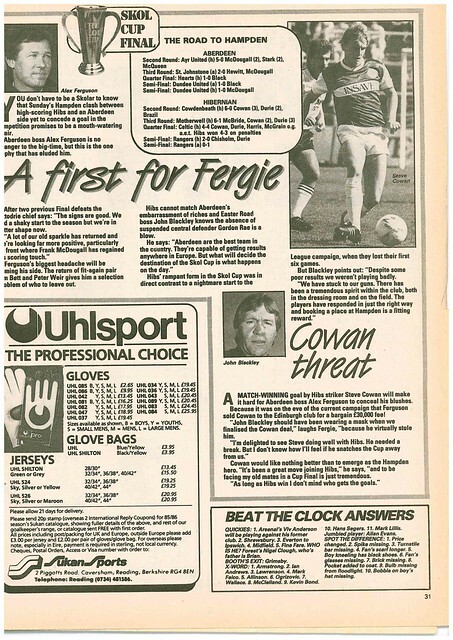 John Murray from Cork suggests that the costs of all seater stadiums means it makes more sense for clubs to groundshar. 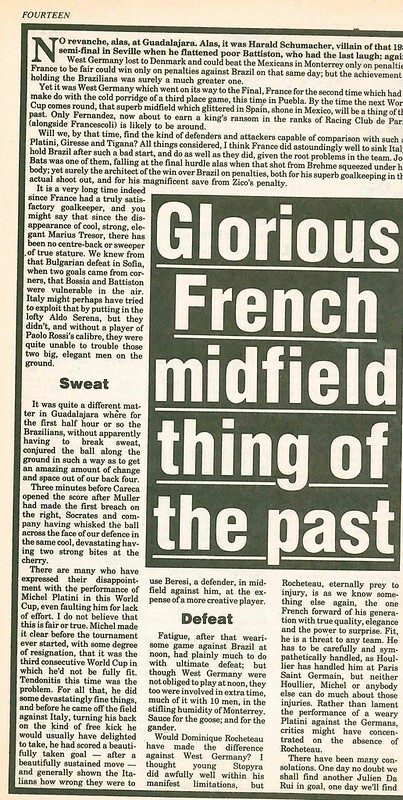 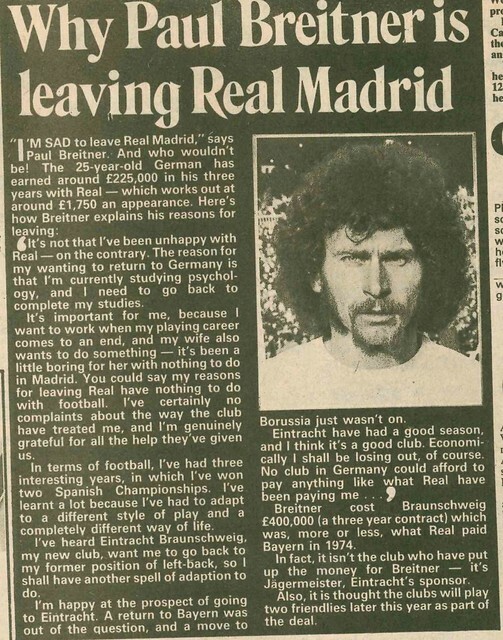 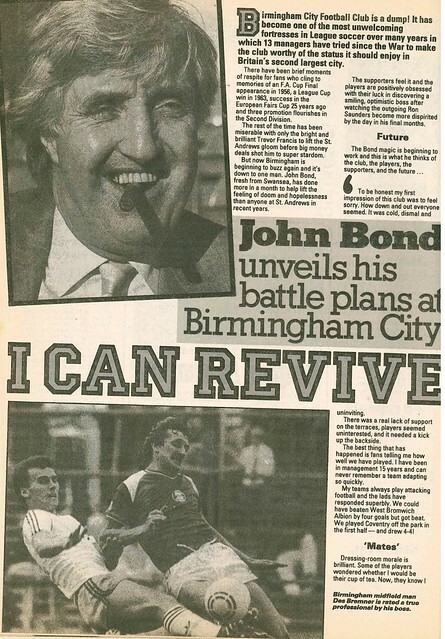 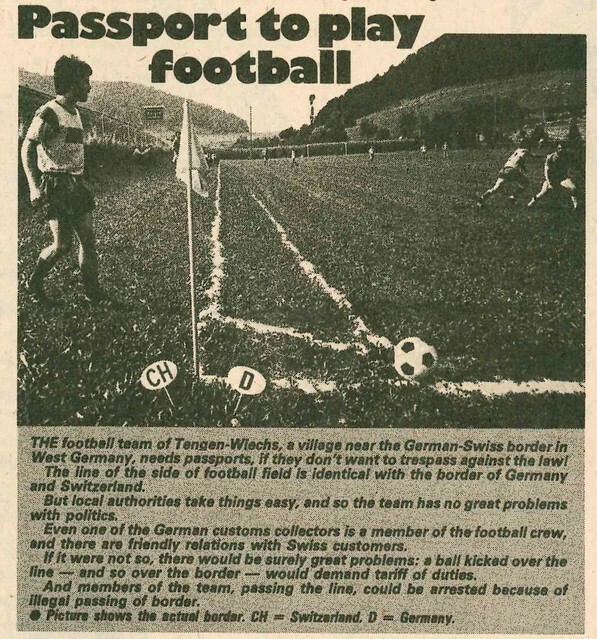 Jimmy Greaves agrees with him, but can’t see it happening. 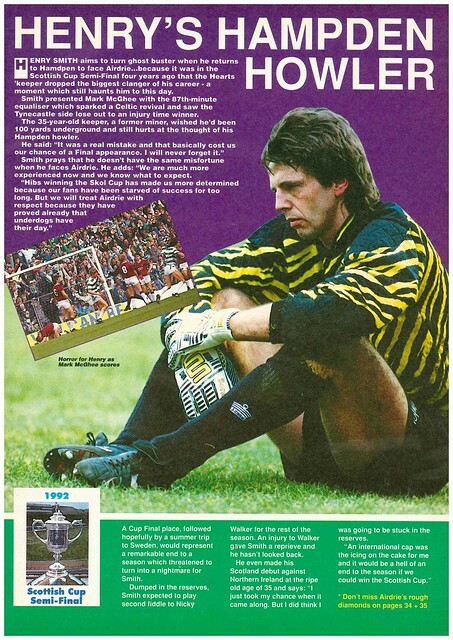 In Scotland, Shoot profiles Hearts goalkeeper Henry Smith, who is determined to make up for his error which cost Hearts their Semi-Final against Celtic at Hampden in 1988. 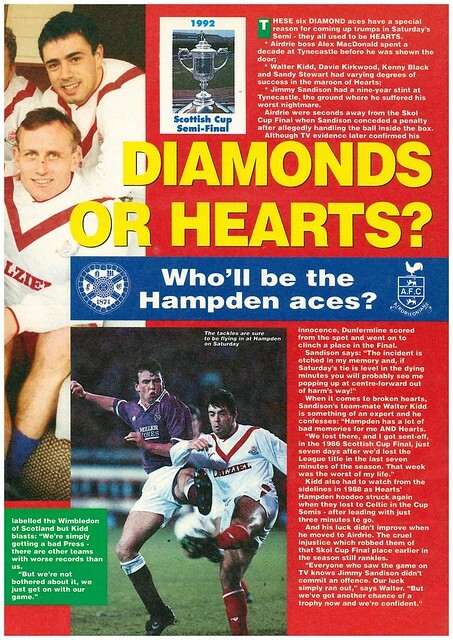 Smith’s ambitions are to win the Scottish Cup and go to Euro 92, having made his international debut earlier this year at the age of 35. 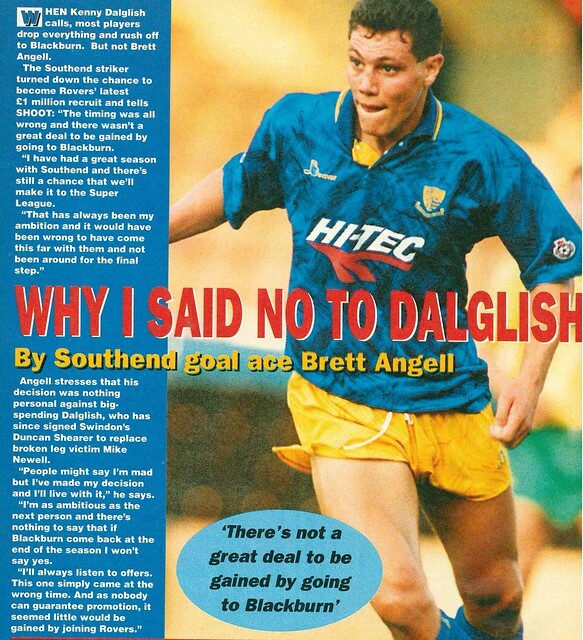 Brett Angell of Southend gets interviewed about rejecting a moive to big spending Blackburn Rovers, saying that the timing was all wrong. 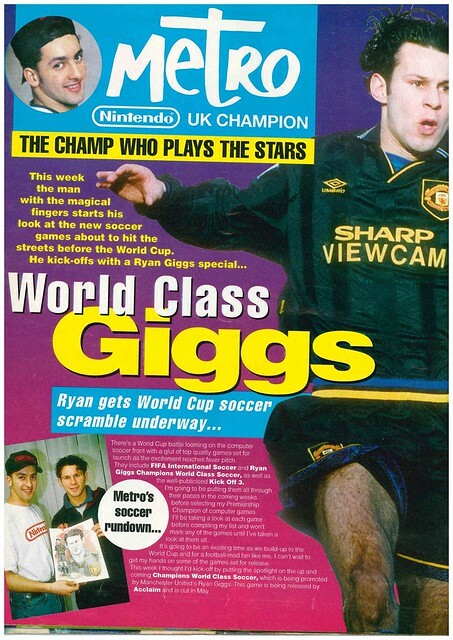 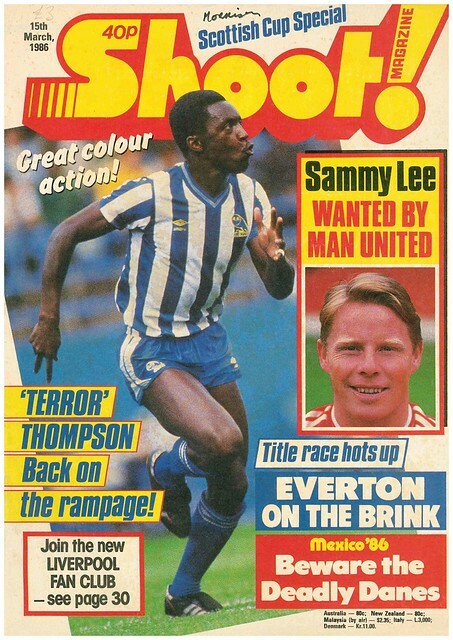 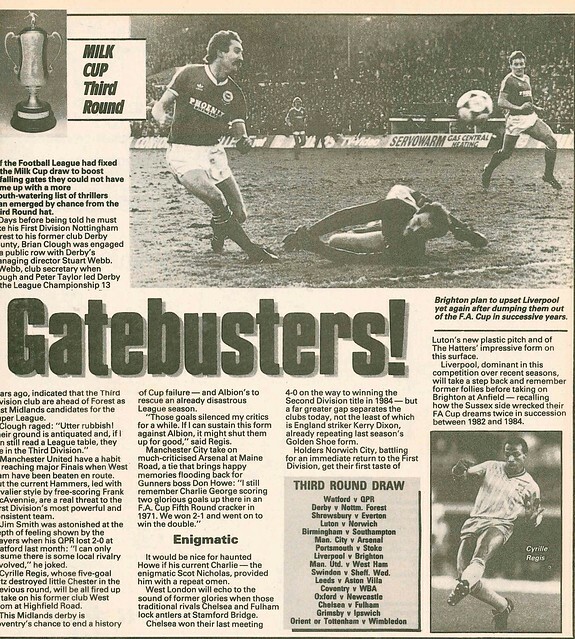 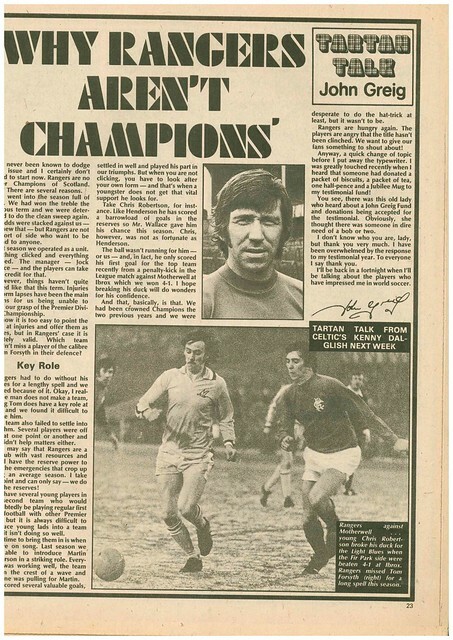 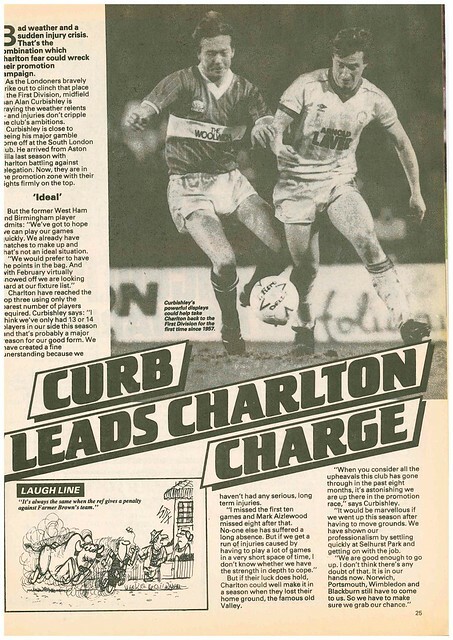 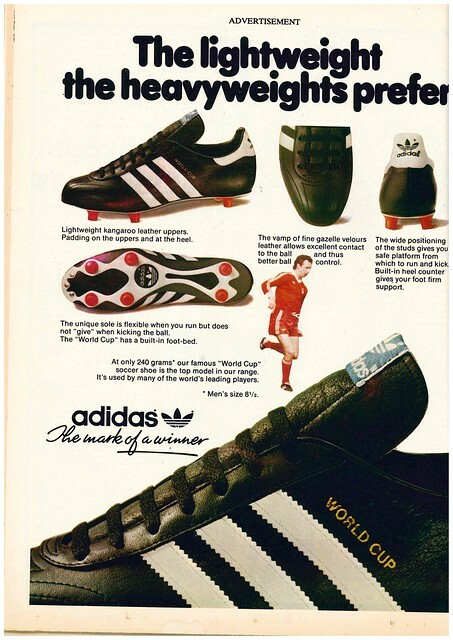 There is an advert for the following week’s edition, which will preview the League Cup Final between Nottingham Forest and Manchester United. 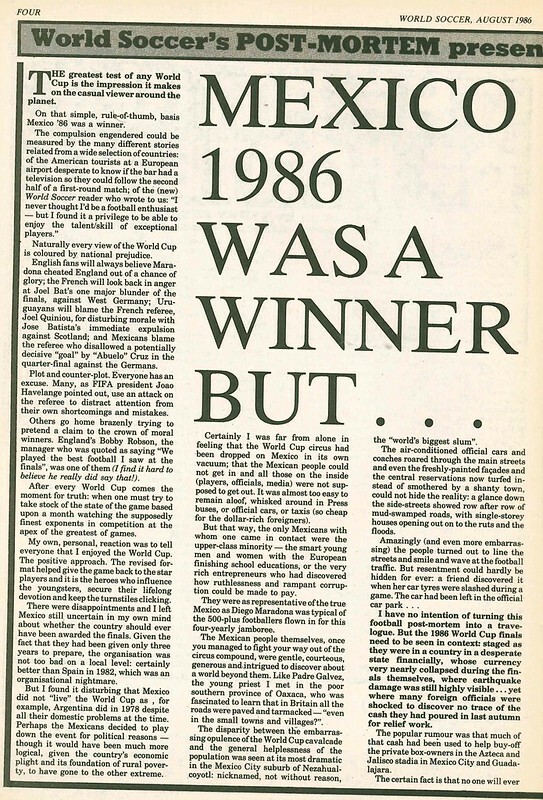 The magazine ends with a double page spread on the troubles endured by London’s top flight clubs in 91-92.